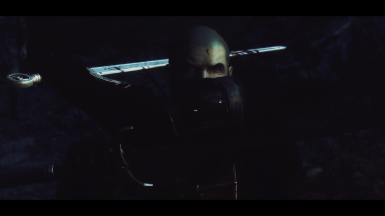 The Grim and Somber ENBs are a collection of fantasy and vintage ENB presets based on the Somber series of ENB presets by Tansarville. The blend a variety of cinematic and vintage effects to create a unique style and appearance. I will not be granting any permission to use any of the files in these presets. 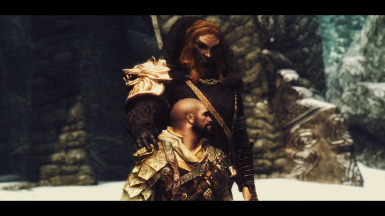 Other authors have granted me permission to use their files only with the Grim and Somber ENB presets and told me I am not allowed to share them. The Grim and Somber ENB presets are all based off the Somber Lut Sepia ENB created by the amazingly talented Tansarville, without who these presets would have never been possible. No words can describe how thankful I am for her support and these wonderful presets! She handed over management of Somber Lut Sepia when she moved on and I have been tweaking and working on them ever since. I have released my own prests based on her original code but I want to make it clear the core of all my presets is all the work of Tansarville. Somber Lut Sepia 221 and Somber Wintage 35mm 251 are the ones closest to her originally released presets. In the summer of 2014 Tansarville revamped and cleaned up all my shaders and updated my Enchanted preset to use the new shaders. It is thanks to Tans that my presets look as good as they do! The original Somber series, that Tansarville made, is based on Unreal Cinema ENB code and UnrealWarfare deserves a special thanks for all his work and help! 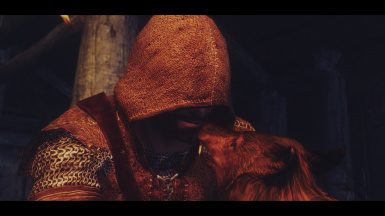 Also a very sincere thanks to --JawZ-- who is the most helpful ENB expert I have ever met. 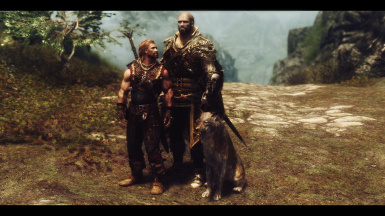 Without his patience, expertise, help guides, and skill I never would have made it this far on my ENB training. If I have missed anyone above, or below, please let me know and I will add you ASAP! 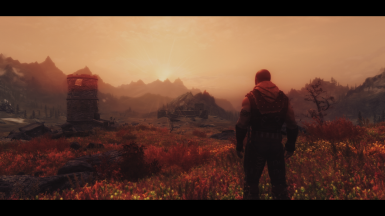 Tansarville - Creator of the Somber Lut Sepia ENB and core base of these presets. Tansarville is also the creator for the current GSE 4.X palette, modified Somber Lut palette, the Vintage Palettes, and the Somber Crescent Lut shaders (enbeffect.fx file). Only she can give permission for other people to use her shader files. Trilville - For the first original Somber palette that Tansarville then modified for her presets. However none of the current palettes are Trilville and all permissions to use current palettes have to go through Tansarville. JawZ - DNI, GUI coding, enbeffect.fx, enbsunsprite.fx, atmopshere/horizon texture, letterbox code for effect.txt version, and well eveything. Maeldun0 - For various code settings for Wintage; support and advice on many things. Hodilton - For the amazing video clip of GSE! 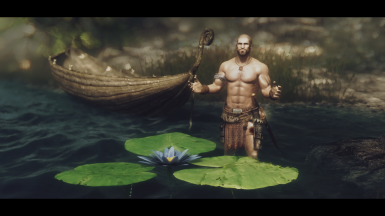 MannyGT - For Lanterns of Skyrim and permission to use a custom preset for Grim and Somber ENBS. ForrestHome - For all her help in testing and finding bugs. Without her critical eye this enb preset would be far less polished than it is now. Also special thanks to Bronze316 who got me hooked on ENBs in the first place with his Seasons of Skyrim, True Vision, and Project ENB. He was very patient with my questions, always supportive, and I never would have made it this far if he hadn't been around to nudge me along. - Updated Jyggalag current to version 8.1 using binary 366. WIP as I continue to tweak as I play and use it. Got some usable settings for some of the new features like complex particle lights. Adjusted SSS to be less strong (shows dirt, tats, freckles, etc. better), adjusted eye shine, and included a new DOF based on the original by KingEric and inspired by Snap DOF by Textrodoxin. Tweaked sharpening a little. Probably other things I don't remember. 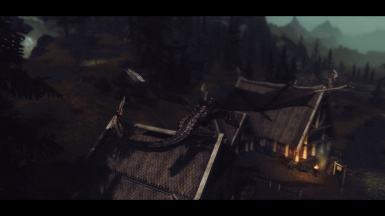 - Updated GS Jyggalag, Vaermina, Malacath, Hircine, and Azura to version 8.0 using Binary 357. Enabled animated stars at a very subtle setting. Enabled soft-shadows for exteriors. Tweaked a few quality settings for slightly better performance (mileage may vary). 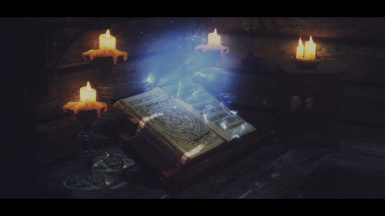 - Updated Mindflux's Skyrim Particle Patch and Sub-Surfacing Scattering Patch to most current versions (single combined download). - Small update to Jyggalag Classic on binary 236. Fixed SSS settings so more skin detail can be seen (less transparent scars, war paint, tats, freckles, etc. ), improved reflection details, eyes slightly brighter, and DOF and sharpening small tweaks. - Updated Vaermina to version 7.7 with binary 319. Small changes to enblocal defaults and enbseries.ini settings. I made a user version (versus what I use myself) so people should see better performance as I disabled super sampling and made a couple of small tweaks to quality. - Updated Vaermina to version 7.6 with binary 319. No big changes as this was mainly to make sure it was compatible. Small tweaks to sharpening, grain, sun, and DOF. Some initial WIP adjustments to character glow, eyes, and sky ambient. Any big tweaks will have to come when I have more time. Be sure to adjust your enblocal settings to fit your PC. 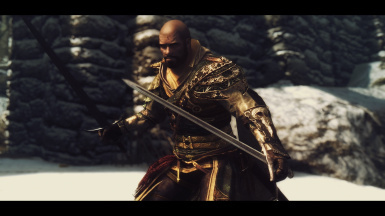 - Boris is pumping out the updates and this one sounds really cool, "Published ENBSeries 0.319 for TES Skyrim. 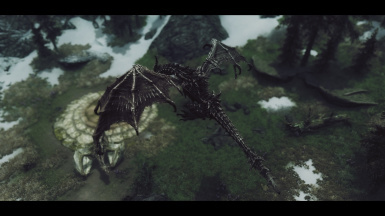 Added ENB PreSetup utility to make automatic changes in SkyrimPrefs.ini for the mod compatibility. Added rain occlusion. Added quality fix parameter to skylighting effect which attempt to eliminate bright spots bug at some camera angles." - Updated Vaermina to version 7.5 using binary 318. Consider this a WIP right now. All the basics works but have the new sky ambient disabled until I have some time to play with it. Likewise I hope to work on the new [CHARACTERGLOW] controls Boris added. But wanted to have the update out so others could play with it if they wanted. I decided to go with Vaermina as its my favorite and I plan to focus on it a bit more as I rebuild my game now that the 4GB memory limit was fixed in the latest win10 patch. - In addition Boris gave me a tip on improving performance without losing quality so I have tweaked all the 315 based presets and you may see some performance increases on some of them (which ones, and how much, will depend on your settings). - Lastly I have take a lot of time this weekend to edit all the enblocal.ini and enbseries.ini files to add more comments and information on how to tweak them for performance or quality, suggestions for memory settings, which effects I use, and various general tidbits and comments. If I did not add a comment to an effect with a quality setting it is either because changing that quality value has negligible impact or I don't recommend changing it. -Updated all current versions of presets to 315 to just move DOF into the new code file for it. These updates don't change the visuals but instead make them more compatible with 315 as Boris split off the DOF code into its own shader file so that other effects could be used in the prepass shader file. For now using the default prepass shader from Boris with it disabled. - Spent afternoon/evening testing and they seem to be good (although I have way too many presets to test them all thoroughly). Because of the work involved I deleted all the optional DOF files and switched to just using the quality preset versions. If folks want performance they can tweak the enbseries.ini settings themselves (its pretty easy). I also left the previous versions around in case some bug comes up in 315 or I need them for some reason - so people can access them in the OLD FILES section. Will leave them there for a while at least. 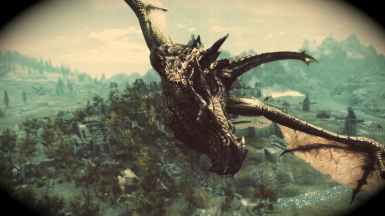 - The changes from Boris: "Published ENBSeries 0.315 for TES Skyrim. Added external shader for depth of field, so now prepass and dof can be in different files. Added parameter to toggle on/off enbeffectprepass.fx shader. Added mask texture to prepass and depth of field shaders to use it for cell shading modification from Nexus, alpha channel of this mask is less than 1 for all skinned objects. Forgot to say that in 0.315 there is another important change - depth texture for prepass and depth of field shaders contain transparent objects." - Updated the data files from Mindflux to the most current sets (inside the zip are 3 more zips - one for each of the sets). Use as you wish. - Jumped ahead to 7.3.0 as this was a larger update then just a tiny tweak. - Updated Jyggalag to version 314 of ENB mainly to make sure 314 would work. - After some thought I decided it was creating more work than it was worth so removed the enblocal.ini PDF template file and replaced it with the real thing for any GS preset using binary 305. 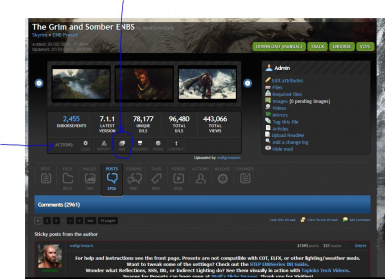 Just download the file and copy it over to your Skyrim root directory along with the other ENB files. I added a lot of notes in the file to help explain the various sections (plus some reference links online) to make it easier for people to adjust it to their own computer setup. - Updated Grim and Somber Jyggalag to version 7.2.5 using Binary 305. Not a major update. Mainly cleaned up and organized the enbseries.ini file so it will be easy to work on dawn/dusk and color filter tweaks in the future. Did some minor tuning to a few things while I was testing. - Reloaded Vaermina (as 7.2.5) after fixing one thing and removed the enblocal template. I realized if I add one to each preset then I would need to updated each preset if I needed to change something. So the enblocal.ini template will be its own download (in PDF format). - Updated the data patch file from Mindflux. He added a creek mesh fix and a bunch of other little hot fixes so figured I would update it again. This file mainly just includes his particle and SSS fixes. It also has the Flame Atronarch ESP. Feel free to remove that if you don't want it. 10/02/2016 - Fixed fine mist particle effect. 06/03/2016 - Fixed casting effect for Heal spells and a woodfire clipping issue in inns (can't believe no one reported it!). 08/03/2016 - Fixed dust, fine dust, Falmer dust and fluff particle effects. 10/03/2016 - Reworked waterfall and creek meshes to get rid of the glow especially at nights and in interior locations. 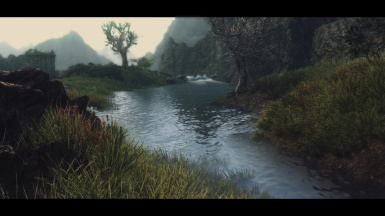 - Updated Vaermina to ENB Binary 305. Nothing major as I didn't work on new values. Instead I just updated all the code files and tested the neutral settings to make sure things were in working order. Minor tweak to bloom, enbeffect, and DoF (quality version) files. Made the quality version higher quality and the performance version as low as I will ever go. Some folks may see an improvement. - Boris requested that preset authors not include enblocal.ini files in their releases. So as I do updates I will be removing them. Instead I will provide a PDF template file of the enblocal.ini. Use it just as a sample. The main settings to focus on are memory and threads. Also adjust your own preferences for AA options. The template I released is what I currently use for myself. - Updated all the presets with adjusted Sub-Surface Scattering (SSS) values to make them less aggressive. Credit for the settings go to Maeldun0. Also updated all non-classic versions to binary 290 (which is mainly some edits to enblocal templates). Basically just house-keeping and general maintenance. 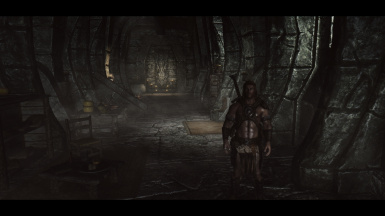 - Added the Jyggalag Classic preset that requires binary 221 and is based on the original Somber Antique by Tansarville. High quality but there are notes in the enbseries.ini file on how to get some performance. Similar to current version of Jyggalag but slightly different look since it runs on the old binary and it doesn't have any of the tweaks needed to make it current with 290. Also minor tweaks to saturation, brightness, and contrast. Since this is an old preset you can't use the enbhelper.dll file with it and you will mostly likely need Original Dark Dungeons installed just like the other old presets (Vaermina, Jyggalag, and Sheogorath). - Future plans? Should I find the time and energy I plan on fixing some things with Hircine, overhauling Sanguine, and tweaking Malacath. Possibly an udpate to Jyggalg 290. Who knows when, or if, that will be as right now I am busy with many other things. - Updated Jyggalag to 7.1.9. Very minor update. Bloom is more concentrated which has plus and minus - it adds more depth and rings of intensity at the price of being too bright at times. Disabled cloud shadows. LumaSharpen and Sharpen adjusted down a little (I am not a fan of over-sharpening for this style of preset). Slight increase to specular and reflection. Removed effect contrast and black levels as it was hurting the haze. Tweak to brightness and vibrance. Minor DOF changes. Thinks that is most of it. All of these changes are small increments. - Hard to say on performance changes. Quality should be a bit more performance friendly but depends on rig and the DOF you use. - Updated GS Jyggalag to version 7.1.8 using current binary 279. Do not use enbhelper.dll with this preset and strongly recommended you use Further Darker Dungeons by Mindflux to prevent interior darkness issues. Main changes was removal of SweetFX and minor tweaks to a lot of settings. I like skin tones to be a certain way so that had some focus. I included a sample shot below. - I removed SweetFX. Each week I get more messages from people who upgrade to windows 10 and can no longer use SweetFX. If anyone has anyone solutions to this issue feel free to share. Jyggalag was not too hard to convert and prefer it this way. 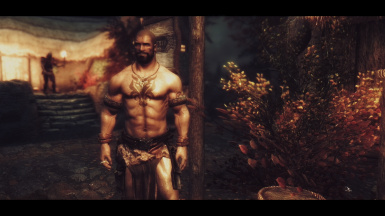 Sheogorath is the only remaining preset that uses SweetFX, however, is not easy to convert so it is on hold. - Updated Jyggalag to v7.1.6 with binary 277. Adjusted enblocal template to remove two values no longer needed with 277. Disabled temporalAA by default. Adjusted DOF files and settings. - Updated Jyggalag to version 7.1.5 using Binary 272. This version is running pretty good with 272 now although mileage will vary greatly depending on your setup. - Changes were made to the enblocal.ini template files I provide for this preset. Replace your existing ones and then update the memory to match your system setup and adjust other values as you see fit. - I tweaked the Kingeric DOF with the DES options to have less of a performance hit by default and the overall effect is more mild. But you can easily adjust things with the GUI to meet your needs. Quality goes from 0 to 7 with 7 being the highest (if you use 7 expect a very high FPS hit, some folks report a loss of 15-20 FPS which mirrors my own experience). Quality can be changed in the GUI. It is rather interesting to change it from 1 to 7 and back. You can actually see how it affects things (when using a strong blur and bokeh). I only use 6 or 7 for screenshots. For game play I use 3-4. - Enbseries had various tweaks to even out some effects, improve performance in the quality version (which is still very high quality but more reasonable now), and improved lighting. - True storms and this preset look pretty epic when in-game. Lightning flashes can create some neat visuals (especially if you set camera to TFC 0 and SGTM 0.1 in the console and then move the camera around and time the screenshots with the lighting). - Updated Jyggalag to version 7.1.4 using ENB binary 272. I will save an archive of the last build for a little while since this one is a tad darker and less saturated so people may prefer the other one. Will see what people think about it. This is another personal version I made for a few friends who had problems running Jyggalag on current binaries with some of the newer code files I used. No idea why but mixing in some of the older files solved their problem. Most of the feedback from them on it was very positive so I packaged it up for sharing on a trial basis. - There are two versions; ULTRA HIGH quality (trust me this is a killer - I added notes on how to tweak this in the SSAO_SSIL section to keep high quality but get some FPS as the current values are a bit overkill) and a nice performance version which still keeps the majority of effects and quality. 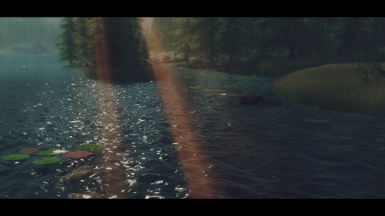 Some effects have been disabled (Lens, Sunglare, Procedural Sun, Rain) but that is because I think the preset looks better with them off and not for performance reasons (although it may give a small boost to it). Mist was tweaked a little as well and has some really nice fog effects when used with Supreme and Volumetric Fog mod by MannyGT (and I recommend not using Revamped Exterior Fog with this preset if you are using the SFV mod). Reflection, specular, and eye settings reduced to be more consitent with the "Somber" feel of the preset. Vibrance also lowered a little and the overall feel is a bit darker (see images below). Cloud shadows is also enabled at low values which can make things darker. - Important to note this version uses SweetFX version 1.4, which was with the original version. While I dislike adding extra files to a preset I sometimes find it just provides a nicer look (as is the case with Sheogorath which also requires SweetFX). If you want to adjust saturation levels I would suggest tweaking the Vibrance setting in the SweetFX_settings.txt (I have it set very low). Letter box can be enabled/disabled in the GUI (effect.txt section) and I disabled the Vignette by default. - This version comes with my moist current TEMPLATE version of enblocal.ini. Use my template but you MUST change the MEMORY settings to match your system set-up. You may also want to change the [WINDOW] settings. The FixParallaxTerrain is set to true by default. If you don't use ground textures that can handle terrain parallax set this to false. While it makes motion artifacts I find the temporal AA the best there is for ENB use so you may want to try it by setting to true. But since this comes with SweetFX I have SMAA enabled by default as well as EdgeAA so that may be enough for you. Lastly remember to open the GUI with my template version it is SHIFT + CONTROL (not enter). 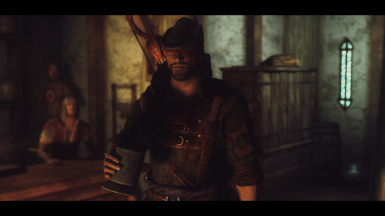 - Lastly the core of this preset is all the work of Tansarville and not myself. She is the genius behind the look of this preset, not me. All I do is keep it current with new binaries and play around with simple tweaks that I feel make for a nice aesthetic look built around the core foundation. I also switch around some of the code files now and then to provide slightly different looks or options (like adding in new DOF code). - Note I changed the file text descriptions for all presets using current binaries from 266 to 272. However this won't change the internal file name assigned by Nexus that was used at the time of original upload. So when you download the file it will still have the original description text assigned to it (its internal) which says 266. Ignore it - go with the what the text says on the page. - Uploaded a new preset, Vaermina Classic. This is the original Somber Lut Sepia released almost two years ago on binary 199. Binary 236 is the highest binary I found that doesn't distort the original look while adding the most new features (like water, better memory management, and more). If you want to experience the very first Somber Lut Sepia this is the one to try. You must use binary 236 with this preset. If you use a newer binary it defeats the purpose entirely as Vaermina "regular" is already using the most current binary with all the needed changes. - Updated GS Jyggalag to version 7.1.2. I decided I did not like the lens effects or the big flares on lights. So in this update I toned down the flares and actually disabled the lens effect in both the quality and performance versions. I just find the effect distracting. I only tend to use it for special screenshots and it is easy enough to enable. I changed the default lens files and settings to the original version. I then included a new options folder that has two lens folders. One with the intense look and one from the original. Feel free to use either - just remember to enable the lens effect in enbseries.ini if you do. I also lowered the vibrance a little (was too much for a Somber preset) by a small margin. Also tweaked reflection and specular settings to avoid some artifacts that could occur on skin in certain light. Performance version may be a little better, might be too small to notice for some. Think that covers the main changes. - Note Jyggalag v7.1.2 has a extra "quality.zip" file inside of the main zip file. I double zipped by accident. They are the exact same thing. Just delete the extra zip file, it isn't needed. Will fix it next time I upload something. - Updated Jyggalag to v7.1.1 using binary 266. Added new DES (desaturation) level parameter that will control how much desaturation to apply to out of focus items on the screen. This parameter works in conjunction with modes 1 and 2. You first set the amount of desaturation you want (say 60%) and then mode 1 applies it to the background. You can also then use mode 2 with the level and color setting to then tint the image based on a mix of desaturation and how much tinting to apply. I also tweaked specular, reflections, direct lighting, lens, and flares - in all cases to make them a tad less intense. Performance now has lens, bars, and grain off by default and a lower quality of bokeh in the DOF (but uses the same DOF as the quality one). - Examples of the DES modes, and GUI, in comments below. you can also see images on my Flickr at the bottom of the Jyggalag album. They are the ones of Grim holding the Torch inside the tavern. - Note: Changed my mind on the performance version after some debate with a friend. It's work to maintain another version but I know a lot of people have old PC's/slow rigs and so I made this version just for them. That being said it is still more demanding than any of the other performance presets. - Updated Jyggalag to v7.1.0 using binary 266. New lens and ALF shader (enblens) by Kingeric1992. New default DOF file with DES controls by Kingeric1992 and OtisInf. Small tweaks to enbbloom, enbeffect, effect, and enbseries.ini. - I posted 19 shots using Jyggalag 7.1.0 on Flickr. See the Jyggalag Album (they will be at the bottom of the album). - Very minor update to bring all main presets inline with current ENB binary 266. Added interior reflection values, updated enblocal templates (terrain parallax, remove blur, fix lag, z-pass all set to false by default), and increased quality on all quality presets (performance presets remain untouched). 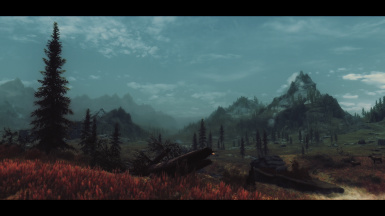 - All* Grim and Somber presets updated to v7.0.4 using ENB binary 266. Every preset now has a Quality and a Performance version. People may see some FPS boost for both versions as I have adjusted SSAO scales and done some fine tuning on various quality settings. - Important note on enblocal.ini changes: I have created a new enblocal.ini template for all presets and added a few notes to help with making changes to settings. Everyone should customize this file to suit their own needs and computer setup. The new FixLag parameter is still in testing and people have had mixed results using it. It is recommended for Nvidia users only. A few folks have reported that when Vsync is enabled and FixLag=true that it actually costs them 5-12 fps. I do not use Vsync myself and the FixLag has worked fine for me (I am also an Nvidia user). Lastly do not enable the Parallax Terrain flag unless the majority of your textures are designed to use it otherwise you may see some weird texture distortions. - Other Changes: Sanguine, Malacath, and Vaermina I have been tweaking slowly for the last month or so. Since I had to update them to ENB 266 I included all my tweaks to this point. I can't list them as they are all over the place. Sanguine may be a bit brighter for interiors; Malacath had some small changes to brightness and weathers. Vaermina I think has had just some sub-surface setting adjustments and a small bloom tweak. - While testing I took 7 shots, one for each preset, which I included below. Keep in mind this is a single static shot under the same conditions and that each preset has conditions in which it is awesome and conditions it is not so awesome. Likewise in some conditions they can look the same or very different. * The only preset not updated is Shards of Oblivion (which is really the very first untouched original Somber Lut Sepia) which is meant to use ENB 221 only. - Third time is the charm I hope. Had to remove the atmosphere.nif by JawZ as it is making the sky go dark. To get it working means tweaking every GS preset, which is not something I have time for right now. So the Data file is now just the stuff by MindFlux. The last two days remind me of the huge downside to managing ENB presets; major time sink. Hopefully I won't find any more problems. - OK. Updated data files for all GS presets. Contains mindflux particle, sub-surface, and ice-shader patch. This patch is current as of 2015-02-04 4:47pm EST. I had a glitch yesterday but believe it had to do with a NIF conflict (don't know which one as I don't feel like testing them all individually). I simply said "No to all" when installing to any conflict. Find it safer to keep any existing NIF as many mod authors who have edited the same NIF have already fixed issues and/or made changes that are needed. - Updated Vaermina to version 265 Binary. Added two quality versions (before only had one). Note the performance version won't be as friendly as some of my others. I did a lot of testing and I did not like how low settings degraded a lot of the look of this rather sensitive preset. I went as low as I felt I could while keeping the look. I provided the usual 3 DoF options (with a special version of the Kingerik tweaked for Vaermina). I also fixed the enbsunsprite.tga image. Overall look is exactly the same so don't expect anything different. Minor tweaks to bloom, reflections, Eye, Vegetation, Objects, SSAO, Lens, enblens.fx, and who knows what else. - I have updated my "Resources" section on the front page. I have added a tweak guide for using the various DOF files that come with Grim and Somber (with special focus on the Kingerik DOF). Also added a a link to Tapioks ENB Tech Vidoes (also linked at top of this sticky). 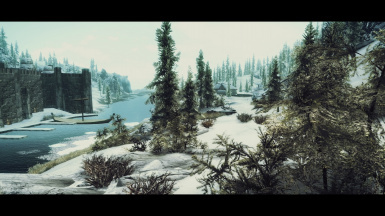 Updated memory settings, updated mod list, and added link to ENB STEP guide. - Finally updated my mod list for anyone curious about it. Its a wild ride so don't expect something pristine lol. 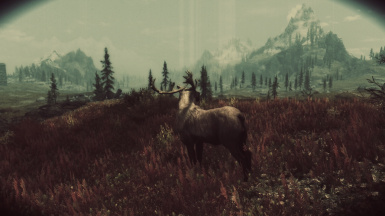 It also won't reflect Caribou Run and Noble Skyrim - two mods I am currently testing and looking into. - Uploaded revised SweetFX SMAA optional file by removing the enblocal.ini file (which was very out of date) and adding directions for installing and configuring it yourself. - Released Grim and Somber Jyggalag v7.0.0. This preset is the original Somber Antique (Beta v199) updated to the current ENB binary and tweaked by myself. Jyggalag is the Daedric Prince of Order and the opposite of Sheogoarth, Prince of Madness and Creativity. I choose this prince because it is somewhat the opposite of the extreme visuals of Sheogorath yet the two share much of the same code. Somber Antique is also about bringing order out of chaos by its attempt to use extreme bloom values and bring them under control (although not always successfully). It is the original classic preset that started the Somber series so I thought one of the original Princes would be a great choice. Now, much like Jyggalag himself, Somber Antique has returned to roam the Void. 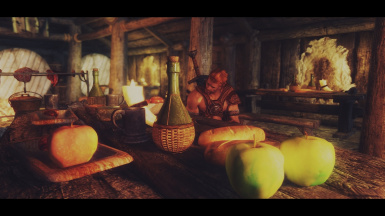 - Special thanks to Maeldun for allowing me to upload my personal version of Somber Antique on my preset page - it means a lot to me as I adore this classic preset by Tansarville, one of the true artistic masters of ENB presets. It is always an honor to work with her code. - DISCLAIMER: This is a classic preset and uses old code (like Vaermina and Sheogorath) so it is not compatible with the enbhelper.dll and can't support weathers. 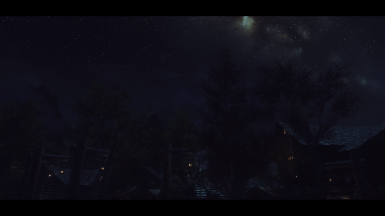 Consequently you will find Solstheim weathers very bright (night time sky can be as bright as day). Take it or leave it as it is what it is. - Stealth update to Hircine with no version change. Just fixed the enblocal.ini to set the borderless windows back to false. 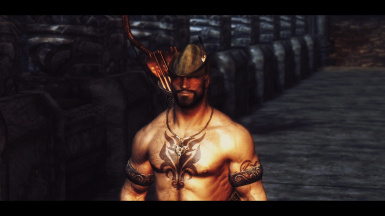 - Updated Hircine to version 6.0.5 using ENB 265. Terrain parallax is off by default as not enough mods out that use it. New specular settings for Objects, Vegetation, and Eyes left at normal for now (if I get something I like that works for most of the presets then I will update them at that time). Kept the core look but things are a tad brighter for days to help remove some of the muddy feel . Adds a bit more clarity to the scene. Some tweaks to a variety of enbseries.ini settings but more polish then anything. Might see a bit more color in sunsets. DoF for quality preset has been made far more subtle by default since that is the most common desire from users. Performance uses the static one. Quality preset is MORE extreme and Performance preset is MORE performance friendly but your FPS mileage may vary depending on your set-up. - Updated Malacath to version 6.0.4. Small tweaks to direct lighting, specular lighting, reflections, general brightness levels, blur/sharp, weathers, and new cinematic default DOF (GP and Kingeric) for extreme cinematic version. I have more tweaks to make to weathers and day exteriors but they will come in another patch at some point. - Updated Grim and Somber Data files to 6.0.4 with updated atmosphere.nif from JawZ. 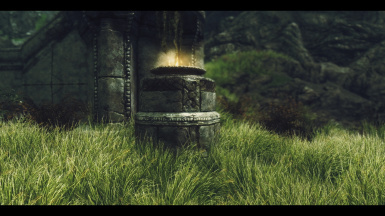 - Also I highly recommend using Verdant - A Skyrim Grass Plugin by Preeum with this mod. Excellent grass mod that I use with SFO and let Verdant over-write everything. - Boris made a small update to binary 264 (no version change): Updated ENBSeries 0.264 for TES Skyrim without version change. Added ALT+F4 key combination to terminate game. Fixed bug with eyes when antialiasing enabled. - A friend of mine had been hoping I would do weathers for Azura ... so I decided to spend tonight making some simple basic weathers, same grouping as Malacath. They are not special, meaning they share the basic settings. Fog is a bit more intense and overcast/rain/snow had some small tweaks. 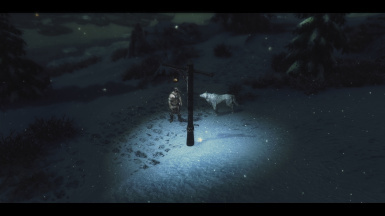 The main thing was to fix the brightness issues for clear weather in snowy areas. Hopefully this will help with that. I also preset Solstheim "ash" weathers. However they are using the default enbseries.ini as I have never been to that area and won't be for a while. However now that it is set up it is easy to tweak the weather for it so people are welcome to go to town. - If you dislike the weathers I added feel free to disable them. Just open the gui in game and look for the weathers box and disable it. - Azura has a tiny update; a small adjustment to bloom tinting to "cool" off the yellow tint for exterior day times just a small bit. Pretty much the only update I have left for it (unless I do weathers which is doubtful since I am focusing on Malacath for weathers). Consider Azura a "final" preset now. 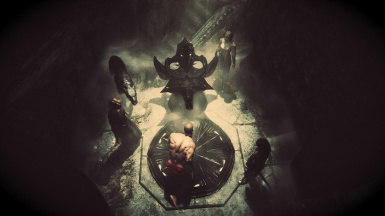 - Malacath has had numerous updates and this is only the first stage of the overhaul. In this update the SSAO settings have been brought under control and the IBL settings adjust to prevent bleaching and create better contrast levels. Bloom values have been tweaked and various changes made to enbeffect.fx settings. Foggy weather was fixed - you can now see the sky at night. 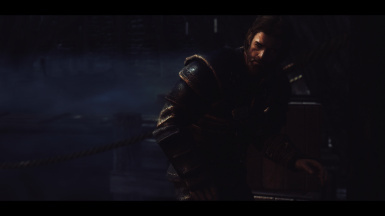 - Both Azura and Malacath have new optional DOF to use as well, it is very cinematic. Called the "GP and Kingeric DoF" it is by gp65cj04 with GUI & tweaks by ericking1992 and some additional tweaks by Insomnia. - I find exterior fog looks a tad better (super subtle) with a high sample range value for SSAO. I use a full 3.0 value for it (versus the more common .28 to.6 range) but it is very demanding but almost no visual change. Still I like to play with things at their best so if anyone else wants to try it I uploaded my personal settings under "Optional Grim and Somber Malacath ULTRA Quality Settings for use with Malacath 6.0.0." 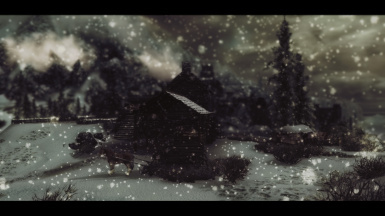 - Weather: I use Expanded Skyrim Weather and Expanded Snow Storms. Neither affects lighting they just add more weather variety. 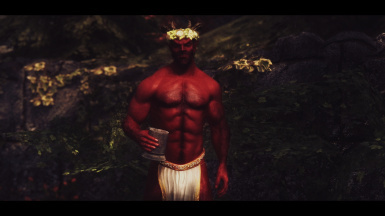 I have started adding their weather codes to my weather lists (_weatherlist.ini file) so if anyone uses those mods you will get the benefit of the Malacath (and Sanguine) weathers. However I am sure I don't have all of them so if you find one missing let me know the weather code and I will add it. - Just wanted to add that I do not recommend using either remove interior fog or revamped exterior fog. Both of those will pretty much kill the atmosphere in Malacath, especially for exteriors. Course if you dislike mist and fog then I suppose it won't matter to you. I don't care either way just pointing out it won't look like my shots. 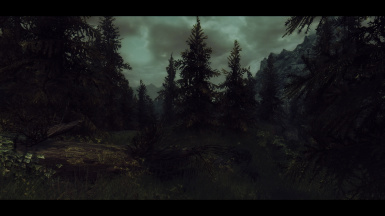 - Grim and Somber Malacath Preset v6.0.0 has been released into the wilds of Skyrim. Pictures describe it best so see the ones in the sticky and you can also see collected works on my flickr account, under the Malacath album (newest images at end). - Updated Sanguine and Azura to 5.1.0. - Sanguine: Very large overhaul with a different look. 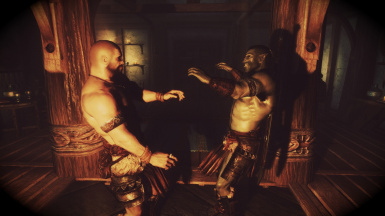 Sanguine was very similar to Hircine and I wanted a more clear difference between the two. To many changes to list. You can see some of the shots in my Flickr album for Sanguine. It is a mixed cocktail at this point and fitting for Sanguine. - Azura: Very minor tweaks and polish to just lower some of the yellow/green tinting at certain times of day and you might see days being a tad less bright during sunny weather. Some minor interior tweaks. - Most of the presets are done at this point. 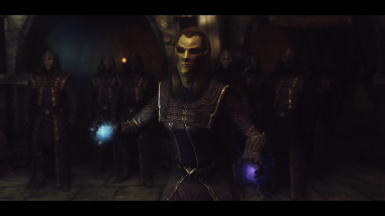 Only Azura, Sanguine, and Hermaeus Mora are still considered "open" and none of the others will be touched short of keeping them current with ENB binaries. - Updated Hermaeus Mora to v5.0.2 Final using ENB 262 or 264. Scrubbed the alpha as did not like it. Went back to using SweetFX as it simply works best for the type of Vintage look I like. So v5.0.2 is based on one of my original vintage builds updated to 262/264. I think, I hope, this is a final version so no alpha/beta names. 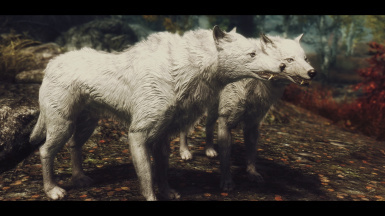 - Due to some bugs with AMD and transparency issues with some hairs and eyes (any card) I recommend sticking with ENB v262 unless you wish to help Boris with testing over at enbdev.com. v262 and v264 are currently available for download. - Updated Azura to v5.0.1. Lots of tweaks all over but nothing to major except maybe nights which I changed a decent amount to reflect what I like in nights. Days I am happy with. Interiors are a mix, some I like and some I don't but no easy solution. 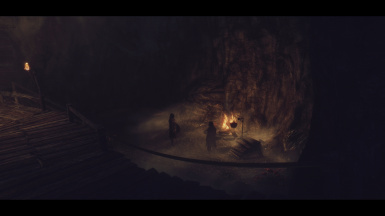 - Note Grim and Somber Hermaeus Mora v5.0.1 using ENB 262 (Alpha Build) is under heavy development and needs a lot of work. - Removed Hermaeus Mora (Vintage) as it just needs to much work, even for Alpha, for sharing right now. It needs to be overhauled. Once I have something more presentable will bring it back online. - Note to open the GUI you need to use SHIFT + CONTROL in most of the new versions, not the old shift + enter. - Was testing and realized I uploaded the WIP version of Azura and not the stable one for v5.0. So did a quick reload to fix it, sorry about that! The WIP isn't bad just has some color tinting that needs more work. - Updated all presets I manage to version 262. Each has been renamed after an associated Daedric Prince as I wanted to have an organized naming structure with a fantasy aspect that reflects the nature of the presets. Descriptions of each, along with their original name, can be found on the front page as well as the downloads description. I also made everything version 5.0.0 because I am compulsive that way. - Azura (GSE Next Generation) had a variety of small and subtle changes made to it. I consider this preset a work in process as I continue to polish and tweak it. - Hermaeus Mora (GS Vintage) was overhauled again and still in Alpha stage. Use at your own risk (well it won't hurt anything except maybe your sense of taste). - All the others were just updated to the current ENB without any changes to their core settings. 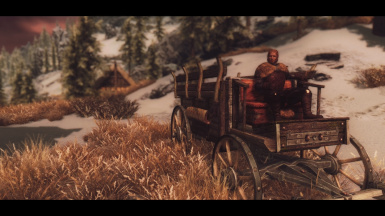 This includes Sheogorath (Wintage), Hircine (GS Main), Sanguine (GSE Regular), and Vaermina (original Somber Lut Sepia). Sheogorath and Vaermina use old code files and are not compatible with the enbhelper.dll so do not use the two of them together. 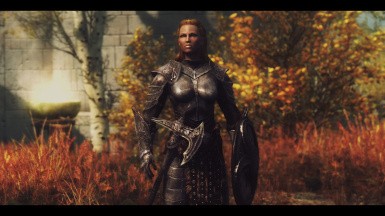 - I am also hosting a preset for Mika999, who is working on a mod called Shard of Oblivion, and has designed the mod with this preset in mind. It is called "Grim and Somber Shard of Oblivion ENB 221" and it uses ENB binary v221. It is under the miscellaneous section in the downloads. 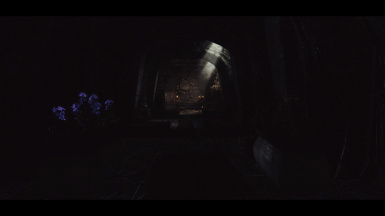 - Update Grim and Somber Enchanted to v4.2.2 using ENB 261. ENB 261 has a bug fix to SSAO flickering when using TFC command and new opacity parameters to volumetric fog. I tend to like thick fog so while it could look good to see some more opacity I kept them fairly solid. In addition I switched some code ordering around in the enbeffect.fx file (Tans indicated the new color effects required it to be lower) for saturation controls, and made some minor tweaks to night skys. - Updated Grim and Somber Enchanted to v4.2.1. I won't say it is the last patch (as that would doom me) but hoping this is it for awhile. - Quality Preset Changes: Cinematic was toned down just a little, some people might, I say *might*, see an increase. Performance was toned down a fair amount and people *should* see an increase. 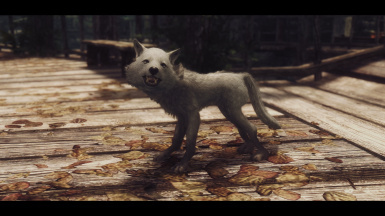 Consequently, for those who want the best settings for screenshots, I uploaded the preset I use myself (which I do not support and may take down at any time) which is called the Fierce Wolf and it will EAT your fps. 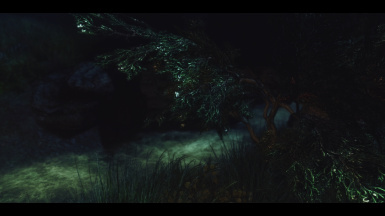 It also has many cinematic effects enabled and comes complete with SweetFX SMAA installed with it. Use this preset at your own disgression (i.e. you are on your own with it). 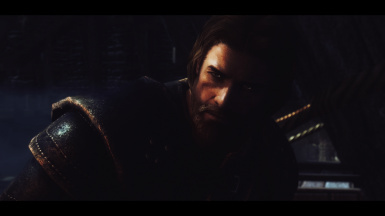 - Shots below are taken with Fierce Wolf Preset using Relighting Skyrim Full and Original Darker Dungeons (not the Further version) plus SMAA. More shots are on my Flickr account in the GSE 4 Album (most recent are always at the bottom of the album). 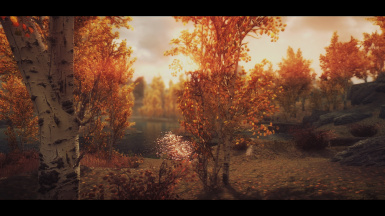 - Updated Grim and Somber Enchanted to v4.2.0 using ENB 254. An ENB is never done but after 38+ hours of tweaking and testing I had to decide this is enough for this particular update. Many thanks to Tansarville for the new palette and her advice and feedback on my tweaks. - Major changes: New palette made for GSE; new effect.txt file (ultimate shader add-on, see credits for details) tweaked for GSE; adjustments made to enbseries.ini, enbloom.fx, effect.txt, enblens.fx, enbprepasseffect.fx, and enbeffect.fx. Rain was made more visible and easier to see (if you use supreme storms, however, expect to be washed away); snow is a bit better although interiors in towns are brighter now; mist density increased in some cases; numerous other tweaks to compensate for new palette and core changes. - Future patches: Brightness for town interiors still being reviewed. Working on some possible night changes (a "colder" lighting). Any bugs that come up. - Grim and Somber Enchanted has been patched to version 4.1.0. Tansarville adjusted the base values and then I did the polishing and tweaking on the main preset. - Core Changes: Brightness levels adjusted across the board on the base shader values; snow brightness during day/sunrise/sunset clear weather has been reduced. However it is still bright and that is by design. This preset is fairly unique and it has its quirks. I will not design the preset around a single white texture and specific weather; some sacrifice has been made in exchange for other rewards. - General Changes: Tweaks and polish made to sky settings; less intense day time sun; increased cloud intensity and volumetric fog (fog on mountains); stronger sunsets; various environmental changes to compensate to the core changes made above. - Other Changes: Soulwynds DOF has been tweaked to remove the black/green spot artifacts; Soulwynds DOF has also been adjusted to greatly lower the blur radius and intensity as well as pushing it further "back" - the overall effect being a less intense DOF. Better that way and then people can tweak it on the fly for screenshots as they like. I don't use the static DOF so that has not been touched; GSE now uses procedural sun so the Data file has had the sun and sunglare textures removed. 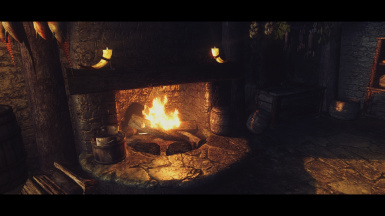 - NEW: Added a new lanterns of skyrim preset built around GSE 4.1.0. It uses Nocturnal Purple as its tint which in-game is a more clear white-blue appearence overall. See uploaded screenshots for example of what it looks like. I am very happy with it. - Thanks to Tansarvill for her help with the shaders. Thanks to ForrestHome for helping me test and her feedback. - Okay a whopper of an update. Before I get started I want to give my very sincere thank you and gratitude to Tansarville. She came out of her semi-retirement to completely revamp, clean, and update my shader files to a modern, next generation look. Not only that but she set up the beautiful default preset for Grim and Somber Enchanted 4.0 which the images below are based on. In addition I want to thank all the generous and kind folks from Nexus, Flickr, and ENBDEV who have helped me in countless ways with code and advice. Kudos to you all for making this preset what it is today. 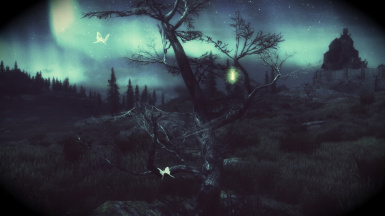 - Grim and Somber Enchanted 4.0 Next Generation has been released. As indicated above this uses cleaned and updated shader files with many new effects (to numerous to list it all here). All major settings and values have been tweaked and updated. The cinematic preset has all effects enabled and the performance version has been tweaked as low as I dare and still maintain a basic aesthetic to the preset. - Important Notes: When using GSE4 people should not use Revamped Exterior Fog or Remove Interior Fog V2 as it will disrupt the overall look and feel of the preset. Also GSE4 is built around a distinct palette, so people should not use any of the optional palettes with this preset. - I have tweaked the SweetFX optional download for SMAA as well, if using an older version please update to this one. - GS Main will not be updated because its look is derived from older code files; updating it would just remove that look. It will eventually be archived for those who still wish to enjoy it. - GS Vintage will be getting a complete overhaul as well, no ETA at this time, using the new code files from Tansarville. I have a lot of powerful tools at my disposal but need to learn how to use them correctly before I update Vintage (which has always been my bady preset). - With Tansarville setting up the defaults it is now up to me to polish and tweak the GSE preset to its final look. I will be slowly working on that over the summer. - Updated Grim and Somber Enchanted to v3.5.5. This is a very small patch so you won't see a lot of difference. - Nights are just a tad darker (lower bloom) to help with snow brightness. However direct lighting at night went up a hair to compensate with its curve lowered to reduce saturation. Going to play with it this way for a bit and see if I like it or not. Its more natural but I like the brighter fantasy feel as well ... something to tinker with. - LOD lowered on extreme preset (its off on performance). - Sharpen and Lumasharpen values lowered to improve visuals. - Contrast, Vibrance, and Black/White levels lowered a little. - Sunsets left alone. I got some really cool looking sunsets but it distorted the sunset to night transition to much. - Personal preset deleted since it mirrors the extreme right now. 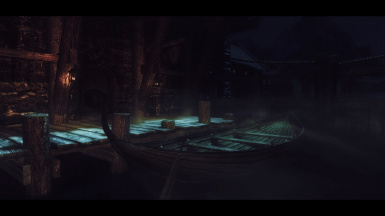 - Updated the Lanterns of Skyrim preset (v3.5.4) to better match the fantasy feel of GS and GSE. The color tint is now that of traditional candle light, which is a softer orange. - Tested ELE with RLS and GSE all weekend, and today, and it will take a lot of work and time to get it looking good ... so I am not sure when I will get to it. I will just poke away at it this summer and maybe have something to release at some point but don't expect anything soon. - See change log for more recent changes and all the changes I made for v3.5.4 of GS and GSE. - Updated Grim and Somber(GS) and Grim and Somber Enchanted (GSE) to 3.5.4 with new letterbox bar code (vignette). I have disabled it in the enbeffect.fx file and added new code to the effect.txt file. You can edit it in-game the same way as before only now it is under the "EFFECT.TXT" section and the settings are at the very bottom of the list. The reason for doing this is that it will no longer bounce all over the screen when using TemporalAA (TAA) in enblocal.ini. This is very important to me as I use TAA a lot as it is the best AA for use with an ENB. I can live with some of the motion artifacts but not the letterboxes bouncing all over ... and I love my letterboxes! A *HUGE* thanks to JawZ for supplying the code and to Insomnia, of Insomnia ENB fame, for the inspiration and letting me know it was possible. - Updated Main page description with new instuctions for the letterbox changes, additional credits, and updated recommended mods. - GS Main now uses the same sunsprite TGA file as Enchanted so the download will be much lower in size compared to before. 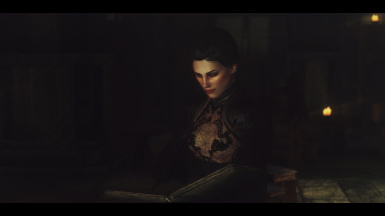 - Started work on an ELE preset for use with Relighting Skyrim. ELE provides some weather support and with JawZ atmosphere NIF makes for some stunning skys. It also fixes minor lighting issues with GSE that have been bugging me. However it will need some tuning and I do not have an ETA. I consider this a summer project. JawZ granted me persmission to include it as part of my preset package so I may release a BETA version earlier to gather feedback. 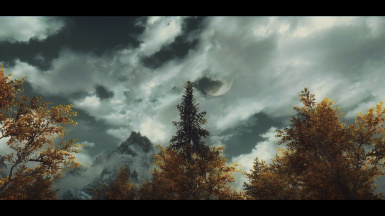 - Added EWIs Galaxy for Skyrim by ewi65 to recommended mods because it fits the GSE fantasy theme perfectly. I recommend the reduced brightness version. - Added RUSTIC WINDOWS by Gamwich to my recommended mods list, again because it fits the high fantasy feel I have for GS Enchanted. I am using the regular version as I like the intense glows for its night time fantasy feel. 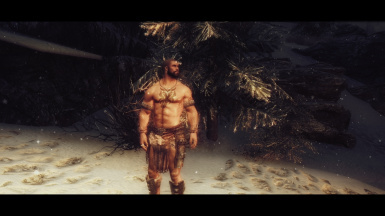 Thanks to Sloth, of M-ENB fame, for turning me on to this great MOD. - Updated Grim and Somber Main preset to v3.5.3. Interiors have been tweaked to resolve overly harsh/sharp lighting and reduce red tones. Exteriors were not touched in any fashion. This is a final cut version (only updated to fix bugs or new ENB binaries). 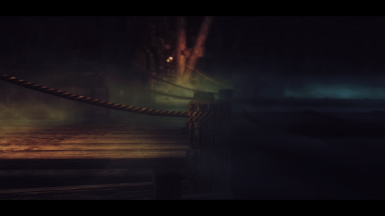 - Updated Grims Vintage Somber preset to v3.5.3. Interiors have been tweaked to resolve overly harsh/sharp lighting and reduce red tones. Exteriors had bloom reduced slightly as it was to intense. This preset is still open to editing as I find time - it needs a lot of polish still so I tinker as mood/time hits. - This brings all versions up to 3.5.3 and fixes most of the major problems I personally had with them. - If curious, my personal favorite is Enchanted which I tend to use the most. - Released Grim and Somber Enchanted 3.5.3. Main changes are to interiors to make the lighting softer and less harsh. Small tweaks made to bloom, effects, enbeffects, new sunsprite, variety of lighting tweaks to enbseries.ini, and LOD settings. No longer in BETA although not a final cut version either as I may continue to adjust things depending on time and motivation. - At some point I will be updating Grim and Somber Main for interiors as I want to reduce some of the redness and soften the lighting. - Thanks for all the feedback, awesome images, and endorsements everyone! 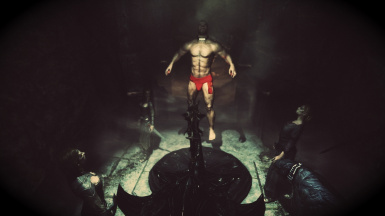 - Updated Grims Vintage Somber to its "Final" Directors cut using newest code files and ENB 252. Note SweetFX is *REQUIRED* for this preset and is included in its download files. I opted to use both ENB codes files and SweetFX to provide the most customization and flexibility in using the preset. - With three fairly stable versions out now I am going back to some gaming and story writing for a bit. Thanks to all for the endorsements, feedback, and great images being submitted. - Updated Grim and Somber to v3.5.1. This is a small fix to remove the ugly interior purple color tones (down side is interiors are a bit redder now) and reduce exterior day brightness levels and light intensity on snow. This is my final cut version as most likely I will archive this at some point and focus on Grim and Somber Enchanted (which is turning out be a much nice looking preset IMO ). GSE has improved code (thanks to Prod80) and I have a lot more experience on tweaking then I did when working on Grim and Somber. - I continue to work on GS Enchanted v1.2. Fixed the ugly purple issue and got the exteriors pretty good. Interiors are a mixed bag still. Will probably release 1.2 sometime over the weekend if I can get interiors a little better. 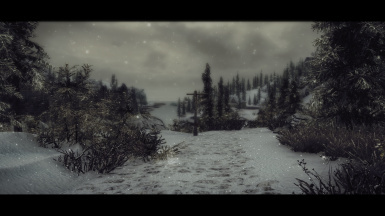 - Grim and Somber updated to v3.5 using ENB v252. 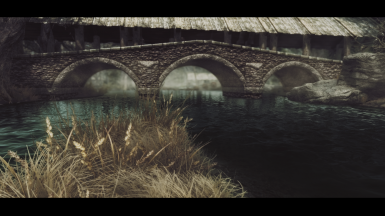 This is a return to the original Lut Sepia and Seasons of Skyrim vision I have always wanted. With a prayer to the ENB gods I believe this is the ultimate look of Grim and Somber ENB. Thanks to the tip from Prod80 I fixed color banding. Consequently I no longer need many of the "hacks" used to work around it. I hope folks enjoy this preset. I am spamming a ton of pictures below with links to the high resolution shots taken at 1920 x 1080 using the default Cinematic Extreme Quality preset included with this ENB with ugrids = 7. - Bloom has returned to the original values I love so much. Nights are once again bright and enchanted. Skies are a bit more moody but sunset/sunrise are intense and bright/vibrant. Mist has been increased to enhance the Grim and Somber mood. Haze has been cut down but for those who like it just disable the black effect in the effect settings (in-game). Interiors are still dark but they are the perfect balance for me. Some other changes but I will let the images speak for themselves. - Real Clouds 2.0 by Soolie: A few shots were taken with this installed. Overall it works okay with G&S. Two things I did notice is that you can get extreme cloud "white-out" and some silouette effects in the distance. - Updated to v3.4 with emergency patch to fix overly intense Sepia effect caused by changes made in v3.3. This should fix the overly vibrant colors and orange interiors. No other changes. - I figured out the problem with v4.0 is that the new code file has a major conflict with the Lut Palette. Since I don't want to get rid of the palette I won't be using the new code file unless I can find a solution. - Update: Fixed a lot of the color banding and improved performance. However in certain lighting colors can be a bit more dull than in 3.1, so I have left 3.1 in the archived (old) files section. I also have a new code file from JawZ which was very promising at first ... but then when I got into heavy testing it fell apart in any dark lighting. I fear using it will mean a complete overhaul of the entire lighting system and I don't think I have the energy or motivation for that - I would rather invest my time in my "from scratch" enb I am working on. So for now 3.3 is the latest official version. - Brightness lowered back to 3.1 version (no longer need the extra brightness to combat color banding). Bloom at night lowered a small pinch to help with snow and white textures. To be further improved on with the new enbeffect file. - Removed the KYFPSG preset for the moment (to much work managing everything). I removed the Grims Vintage version as it makes no sense to work on that one till I get the main one the way I like it, so it is on indefinte hold. In the mean time enjoy the Wintage version of my original Vintage Lut Sepia. The old "bright" version has been removed as it is very out of date with current code. - Created two new complete presets. The "Cinematic Extreme Quality" for eye-candy and screenshots, and "Game Playing Performance" for great FPS while playing the game. See the description file in the downloaded file for details. They use different effects, different DOF, different palettes, and more. In general CEQ has most of the options enabled and very high. It includes a more vintage palette, cinematic bars, film grain, and flexible DOF for taking screen shots. The GPP version has the Somber Antique palette, no bars, no film grain, a static DOF, more effects disabled, and lower quality settings to boost FPS. - Temporal AA Note: For the game playing perofmrance option I enabled TAA. It tends to work good when you have a high FPS rate and no cinematic bars. 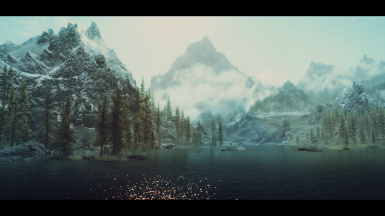 If you dislike it just disable it under the ANTIALISING section using the in-game ENB GUI. 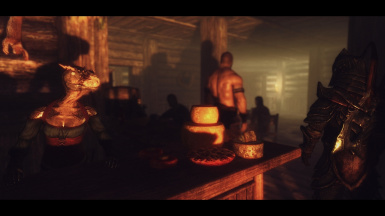 - Updated Grim and Somber ENB to version 3.2 using ENB v252 with improved memory code. New sun ray values to make them a bit more intense and fantastical with a fraction more color. Added the missing Somber Antique palette to the options folder. Minor changes to bloom, general effects, SSAO, brightness/contrast ratios, and direct lighting. Overall changes are subtle. 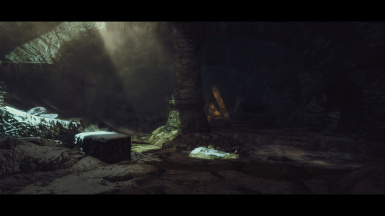 - For those who like Relighting Skyrim (RLS), Novak has updated it recently to a single ESP for all DLC. - I removed the old "dark" archive as it wasn't being used much and the current versions are fairly dark and easily adjusted. Will leave the bright one though as that has very different settings. 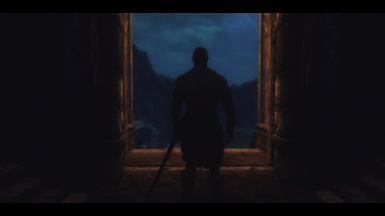 - Temporal AA and Cinematic Bars: I set cinematic bars to off by default (just enable them in-game using the ENB GUI) as I have been playing a lot more with TemporalAA enabled. TAA is almost as good as the old hardware AA and is very impressive. However it creates movement artifacts, especially with the cinematic bars. If you dislike jaggies consider giving TAA a try. Very low cost and motion artifacts are far less visible if you have a good FPS rate and play in third person. At the very least it is nice for screenshots. I started using Ewi's INI files and, combined with 252 memory tweaks, gained almost 10fps in most places. Consequently TAA is a lot smoother looking. - Updated Grim and Somber to v3.1 with bug fixes and general patch. Many things got touched so I strongly suggest you update. - Interior/Exterior - Day/Night brightness intensity lowered in many places. This should reduce some of the intense fires, candles, and white textures that have been intense. It is not gone completely nor will it be; strong bloom is critical to this preset and I won't sacrifice the dramatic and moody scenes. See image section for samples. - Snow during bright sunny days adjusted. It does not bother me as I like bright snow but if it bothers you get Yurils Excellent Dark Snow Texture which helps a lot. - Adjusted ENB LOD settings so enblocal was updated (hence updates to SweetFX SMAA download). - Altered core palette to handle new lighting overhaul I made. The original Somber Lut Sepia is now in the options folder. - All presets (high, extreme, kyfpsg) updated. - Grims Vintage updated but it is very unpolished and barely beta. It needs a ton of work before it looks like the original with SweetFX and part of me is considering going back to SFX but will keep plodding along with it for now. - Updated Grim and Somber to v3.0 by fixing its foundation. Most changes are subtle but overall lighting has been vastly improved across the board. However I have archived the "bright" and "dark" versions for any who find they prefer the 2.5 versions. - Dropped SMAA injector as I still prefer SweetFX for SMAA. I also enabled the Dither function to see if it will help with color banding. - New "Optional Darkness" tweak file. Complete instructions are included in the download. Basically adjusted effect settings for more contrast and darkness (black levels). I also provided details on how to tweak these settings to meet personal taste. - Updated all main presets for v2.5 which are my director cuts. There is little more I can do to tweak them. I am a perfectionist but at some point you have to stop tweaking and say enough is enough. These are it. Bug fixes, new features, and ENB binary required updates I will manage time permitting. Note: Exception is the Grims Vintage, that is still very much in BETA and a WIP, so I may update that at any time as I work on it. - The alternative bright interior vesion is meant for mods that darken interiors, like COT or the Shadows Mod. 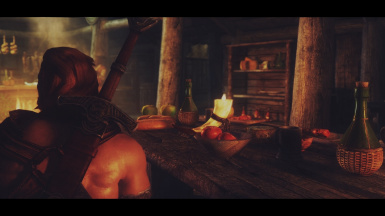 - I have also added a new Depth of Field (DoF) option which uses a static DOF thanks to gp65cj04 and SkyrimTuner. Removed one palette and added another. Bloom, effects, lighting, vibrancy, contrast, darkness, and more have all been tweaked. - Thank you very much to all my testers for their feedback and help, especially ForrestHome who went above and beyond the call of duty. 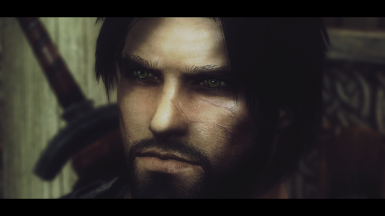 - This is my Grim and Somber ENB Official Cut rlease v2.4 for ENB 251. Besides bug fixing, new features (like night-eye or weather), and keeping it up to date with current ENB binaries, this is the "final" version. I am now going to work on my much neglected Grims Vintage Somber which will be taken in the opposite direction - lots of sprayed bloom, haze, low contrast, and a vintage look and feel. - Lots of lighting changes; look at some the pictures below for an idea of how. Interiors now have a sharper difference between night and day. Days are brighter but with more of an edge to them. Nights have a strong fantasy vibe as they are bright with a bit more haze and color. Sun settings have been tweaked around a sun and sunglare texture that I have included in the DATA file download. Sunsprite is now a little less intense. Rain adjusted for less transparency. 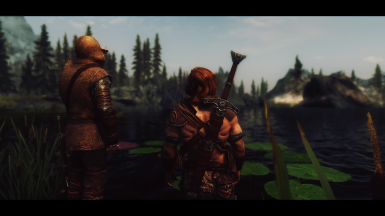 - Updated Grim and Somber ENB to v2.3. I had left in some test files when I uploaded v2.2, which also meant I missed some of the new changes as well. Everything now looks as it should and my apologies for the error, I shall blame it on lack of sleep. - Update data file by adding original sun textures and glare. I have disabled procedural sun as that is more for realism ENBs and I think the textures have a more fantasy and natural feel with this ENB, although they will be very bright at times. 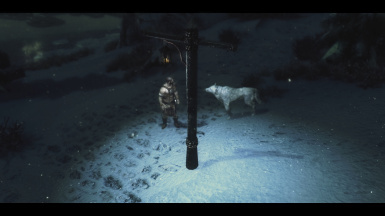 - Updated Lantern of Skyrim lighting to better fit Grim and Somber. It now has a more creamy-white tone. - Updated Somber Wintage to v0.251.2 with new settings from Maeldun0 for Volumetric Rays and Mist. Maeldun0's values are more closely aligned with original Somber and work better with Wintage. My thanks for Maeldun0 for providing them! - Did more testing with Shadows Mod by HHaleyy. 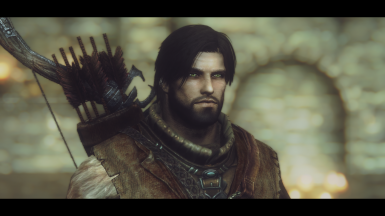 I think it looks very nice with this preset and it does work okay with Relighting Skyrim overall. You will find a few places (Arcadias, fireplace in Bee and Barb) where the light may turn off/on as camera moves. This is not a big deal to me and worth it in exchange for the shadows and other perks. However if it bothers you try it without RLS and see if goes away. 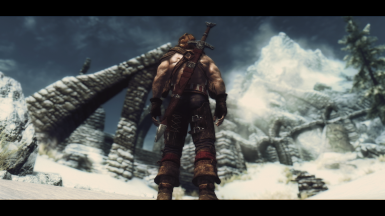 - Updated Grim and Somber ENB to v2.2. Variety of small and subtle changes to overall lighting for both interiors and exteriors. Sky is a tad lighter while sunsets are not as bright. Updated effects configuration with increased sharpness and tweaked settings for interiors and exteriors for both day and night. New sunsprite file with less intense settings. 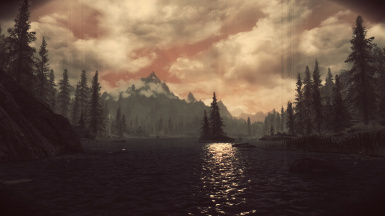 Made ENB rain a bit more visible (not a lot I can do with it). I disabled procedural sun by default as I noticed it can cause the sunsprites (rays of light around the sun) to sometimes appear in front of the mountains on sunrise/sunset. Not a big deal but overall I prefer using a texture myself. I use the ones by JawZ but Prod80 also has some very nice ones. 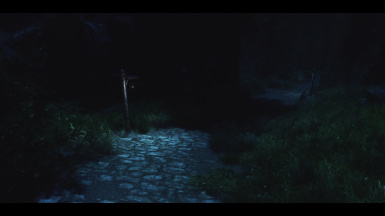 - Tested Shadows by HHaleyy with Relighting Skyrim (RLS) and Grim and Somber. If you load Shadows after RLS it should work fine. I added Shadows to recommended mods as it looks very nice although it may make some places to dark for some people. - Replaced SweetFX option with SMAA injector option. - Updated front page description in a few places. - Boris updated ENB without version changes. 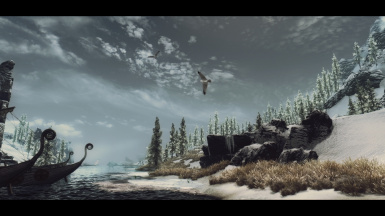 Updated ENBSeries 0.251 for TES Skyrim without version change. Added another error check to notify user if setting are wrong and disabled mist for interior locations. 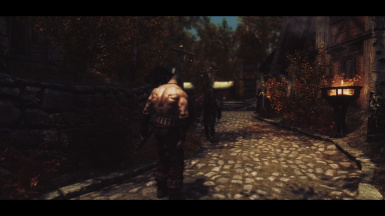 - Updated Grim and Somber ENB to v2.1 using ENB 251. This patch adjusts contrast, sky settings, darkness levels, lighting, and vibrancy to balance out the changes made it v2.0 to handle smudging of solors in low light high fog situations. The smudge should be minimized (may be a few traces left in certain conditions) and quality of graphics maximized. - All quality presets updated. High (which is more a medium now) gives a decent FPS. Extreme is just a little more demanding. KYFPSG is a lot more demanding as I am trying out hyper-scaling. My FPS rate indoors, with my Titan, averaged 17-25 depending on the sample range I used. - Updated the Grim and Somber ENB to v2.0 using ENB 251 (note Boris released an update to 251 and restored the ExpandSystemMemoryX64 parameter). I jumped versions because I consider this a large overhaul (although much of it is subtle). I consider this my biggest improvement since I released the ENB. I think I have eradicated all the "smudge" effects in both exteriors and interiors while also fixing many other niggling issues that were bothering me. The "HIGH" quality preset (which is also the default) has been given a performance boost; I hope this improves FPS for many without a big loss in quality. - Vintage needs a lot of work before I can get it upgraded to a new version. I relabeled it as BETA WIP until I can give it the same polish as my main preset. - Nighteye is still coming but I can't tweak it until I have my main preset stabilized, so perhaps that will come in 2.1. Weathers have the same issue so no weathers until I am happy with my overall main preset. - Down Samplers: If you like to down sample you should use the "High" preset to get the best mix of quality and FPS when down sampling. I have adjusted contrast which will lessen some of the darkness when down sampling although it is still very dark. You can lower contrast more but then your screenshots will look washed out. Always a juggling act when down sampling. 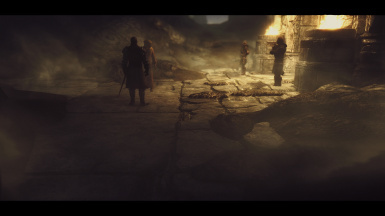 - Updated Grim and Somber ENB and Grims Vintage Somber to v1.5.2 using ENB 251. This patch fixes an issue with some interiors where IBL and FOG settings created excessive smudging of colors. Exteriors were also tweaked for the same reason. Days will now be a bit brighter as I had to lower IBL settings which then meant increasing ambient, direct, particle, and point lighting to compensate. I also tweaked some effect settings for contrast, vibrance, black levels, and film grain. I may or may not leave them as they need more testing but for now left them enabled. - All presets based on 251 needed the above fixes (code changes in the 245 binary created the issue so all presets based post 245 had to be adjusted) so I also updated all those files and loaded them up as v0.251.2. 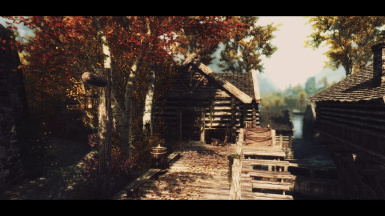 - By request I also resurected Tansarvilles old "Somber Wintage 35mm ENB" to ENB 251. This uses the old original files so the helper DLL can't be used with it (same applies to all the presets in the old files section). My own Grims Vintage was based off this preset only mine is more intense, so some folks might find this one more to their liking. Thanks to Tansarville for granting permission! 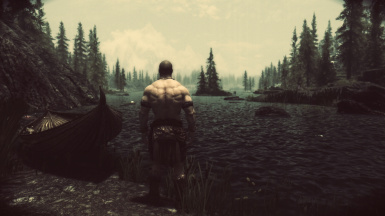 - Patched the Grim and Somber ENB, and the Grims Vintage Somber ENB, to version 1.5.1 using ENB 251. I adjust sky and cloud settings to be less intense and heavy; they are much closer to the original Lut Sepia. Mist is a bit more noticiable, no way around that, but I think the oveverall effect looks very nice with the mist enabled. I also removed two extra testing files in the download I had forgotten to remove. Also tweaked the effects files for both presets. Lastly sun glare is more noticeable now (see screenshot below). I use my own sunglare file so not sure how other textures will look with this. I also rather liked the procedural sun with the new tweaks so I left that on. 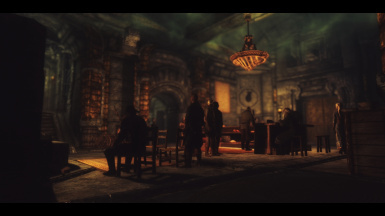 - Updated Grim and Somber ENB and Grims Vintage Somber ENB to v1.5 using ENB 251 (most current version). Both versions added small LOD Bias effects and removed obsolete parameter from enblocal.ini. Front page instructions updated with new instructions and option comments. 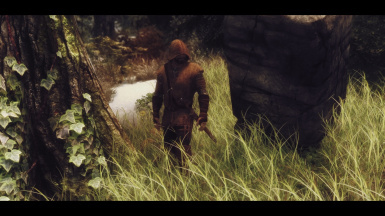 - Grim and Somber ENB Changes: Mist and Bloom adjusted, enbbloom, effect, and enbeffect files all adjusted. Nights and interiors a little darker with a touch more bloom intensity (tight). Many values adjusted slightly for mood, tinting, and color. Quality presets updated - HIGH is even more performance friendly while EXTREME is more extreme. Much wider difference between the two now. The KYFPSG preset is even more deadly with a tweaked enblocal.ini file as well. 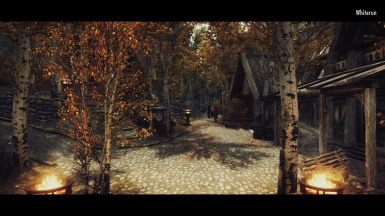 - Grims Vintage Somber ENB Changes: This ENB was overhauled as all SweetFX effects have now been moved into ENB code files and the installion is now the same as the Grim and Somber ENB. If you want SMAA, for any version 1.5 or higher, just use the optional file. To many changes to list but will say it is very much a WIP. I uploaded the old version in case anyone prefers to use that one. 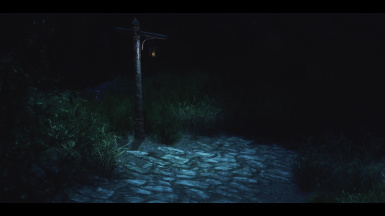 - For a different look try out the "Grim Blood Stone" palette in the options folder for Grim and Somber ENB preset. Has a darker (slightly desaturated) almost metallic feel to it. I am starting to experiment with palettes a bit more. Also the Somber Antique palette works very nice with this ENB. - Night Eye for ENB with in-game GUI control is now working (thanks to some help from the author) and is planned for v1.6. 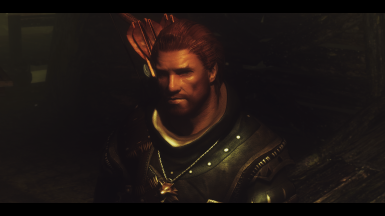 - Updated Grims Vintage Somber ENB to v1.4 using ENB 251. I adjusted underwater (darker) and lens settings. I also moved the rounded corner vignette from SweetFX to the enbeffect file (moving all code to ENB one-step at a time) and reduced its intensity in the process. Lowered vertical flares just a little. 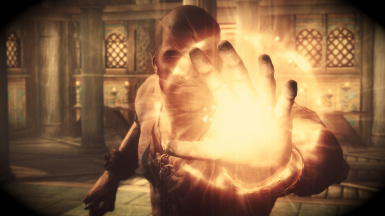 Made sure effect.fx had no compilation errors (related to ENB 251). Only supporting one quality preset now (high, the best performance one). 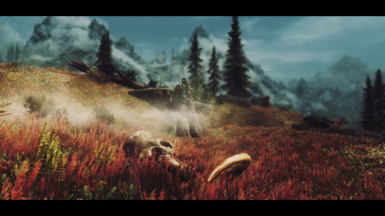 - Updated the Grim and Somber ENB to v1.4 using ENB 251. 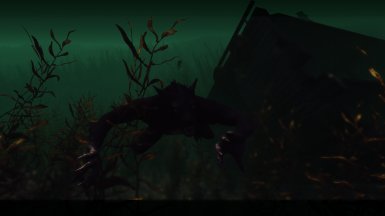 I adjusted underwater settings (darker). Made sure effect.fx had no compilation errors (related to ENB 251). Fixed underwater for KYFPSG as well. 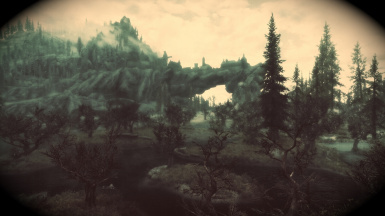 - Updated Grim and Somber Enchanted to v1.3 Beta with ENB v 252. Exteriors were not touched but Interiors had changes to enbloom.fx, enbeffect.fx, and enbseries.ini to adjust overly red interiors. This was based on my personal version of GSE. I decided to upload it for feedback on interiors and if the "redness" is low enough now (or perhaps to low). 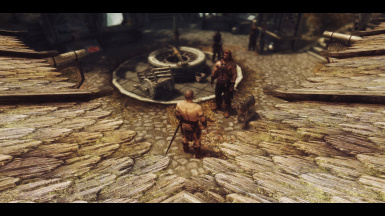 - Updated Grim and Somber and Grims Vintage Somber to v1.3 using ENB 250. SweetFX SMAA got enblocal.ini updated. - Changes: Occlusion Culling set to FALSE by default (since enabled can sometimes cause map flickering and/or shadow flickers); new raindrops TGA file (although personally I prefer disabling ENB rain and using textures); procedural sun disabled by default (I like the more dramatic/fantasy based sun textures. However I did tune procedural sun so you are welcome to enable it); mist enabled and tuned to most common situations; the bug where users saw a very large dim "spotlight" effect around the center of the camera focus, that created a dark shadow line way off in the distance, has been fixed (normally this could only be seen if the camera is high up in the air); volumetric rays and procedural sun settings tuned to work with mist; overhauled most of the SKY settings (clouds, gradients, moon, stars, aura, etc) to work with Mist; Possibly more that I can't remember but thats the bulk of it. - Notes on using the new MIST EFFECT: Mist is a two-edged sword - it hides the ugly horizon issues yet can also obscure some of the distance detail and bright colors of this preset. It can also cause a few artifacts to shadows and some effects like fire. It is a work in progress by Boris. 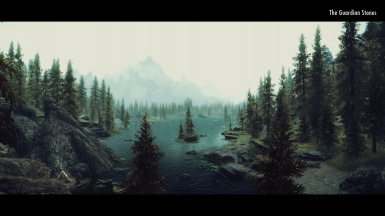 If you dislike the MIST effect just disable it in the ENB GUI. I go back and forth on using it myself. Note that since I tuned settings to work with Mist that if you disable the mist than many SKY settings will be much more intense and vivid (which I actually rather like) as I had to increase those settings to help compensate for some of the bleaching effect of the mist. 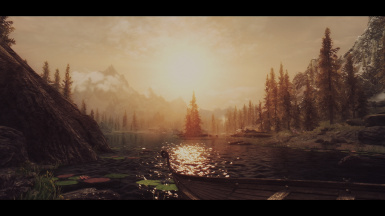 - Updated both presets to version 1.2 using ENB 250. I made a lot of subtle changes some of which relate to mist, sun, clouds, sharpening, blur, noise, black level, contrast, vibrance, and dof. 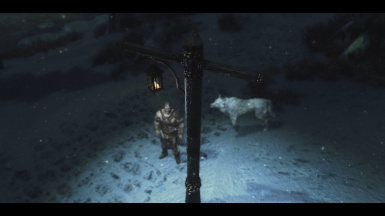 - Added all the SweetFX files required for Grims Vintage Somber ENB (I must have been tired last night as I just noticed I had forgotten to add them when I uploaded). 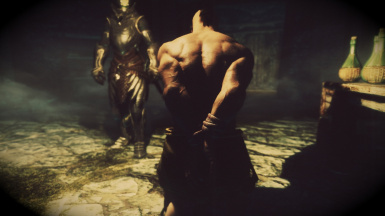 Anyone who downloaded Grims Vintage Somber ENB please re-download 1.1 to get all the files. - Feature List: Supports all enbeffects including water/underwater, cloud shadows, volumetric rays, procedural sun, and mist (not yet fully implemented). 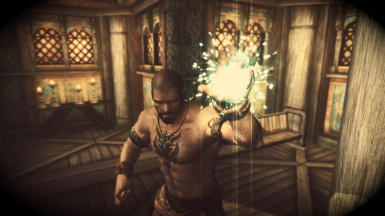 Many effects are tweakable with the ENB GUI interface. Weather is supported but not yet implmented. These presets all work with the enbhelper.dll file. - Options: Two quality options, Extreme (default) for full quality and High, for a balance of performance and quality; four different palettes; data file (particle and SS patches, horizone mesh); SweetFX SMAA; Lanters of Skyrim preset, MindFlux Flora; and editable letterbox and film grain options. - Archives exist for the original Somber Lut Sepia vanilla lighting final cut version by Tansarville using ENB v221, and the current Somber Lut Sepia I have been managing using ENB 250 (and I may, time permitting, continue to support it until I can lock it down to a final ENB version). - Disclaimer: This is still in BETA. I am exhausted by the amount of work all of this has taken but wanted to release it while I had a day off from work (snow day, in the middle of a blizzard right now) and had time to get it published. I will continue to work on it as time permits. - Also Jyggalag v7.1.2 has a extra "quality.zip" file inside of the main zip file. I double zipped by accident. They are the exact same thing. Just delete the extra zip file, it isn't needed. Will fix it next time I upload something. - In a bit of a anniversary dedication to Tansarville (aka Tali) I have uploaded GS Vaermina Classic using Binary 236. This is the very first original Somber Lut Sepia (first released using binary 199) released almost two years ago. Binary 236 is the highest binary I found that doesn't distort the original look while adding the most new features (like water, better memory management, and more). It has a different look than the current Vaermina as the current one is an evolved version with some new code files, different tweaks made to settings, and changes caused by using binary 269. - I do want to point out that even though this was a classic release it took me an entire month of testing and review before I uploaded. I did lengthy comparisons of Lut between binaries 221, 236, 262, and 269. My goal was to see where changes occurred and how drastic they were. I also tested various effect changes (like for water) to make sure they did not distort the original look. In most cases I used "safe" settings from existing GS presets. I also tweaked the letterbox, grain, and DOF for what I thought gave the most "movie/fantasy/cinematic/vintage" feeling that was true to the original. Overall I think it came out very well and has remained very true to the 199 version. - The only real changes to the "Classic" version is a different DOF file, as the one by Kingerick fits its vintage feel better, and the new effects between 221 and 236 (like water). - Performance is balanced with a slight tilt towards performance. I made comments in the enbseries.ini file, however, that anyone can read to help increase or decrease the quality/performance ratios. So if you want better quality or better performance read my notes in the file. I left letterbox and film grain on because I think disabling it wrecks the look, so don't ask me how to disable them. It is an intense preset - deal with it or don't use it. - Be sure to use binary 236 with this preset. I included a sample enblocal.ini file in the download based on binary 236. The only thing you should have to change in it are the memory settings. Do not use the enbhelper.dll file with it. 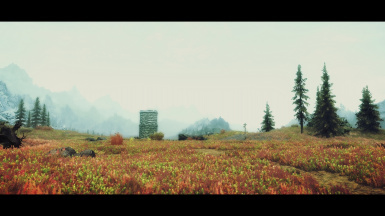 Be sure to do a clean uninstall/install of any previous ENB preset and this one. - See my Flickr Album of GS Vaermina Classic Images for what it looks like. - Also finally changed the existing presets that said they were binary 266 to say binary 269. 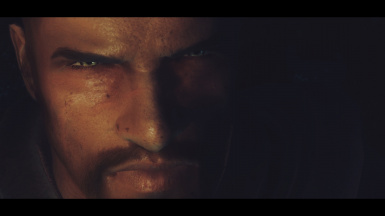 The Grim and Somber ENB collection of presets are fantasy and vintage based ENB's with a focus on a dramatic lighting with an intense atmosphere and mood. Do not look for a lot of realism in these ENB's as that is not the goal or aim behind them. A short summary of each one follows the instructions. 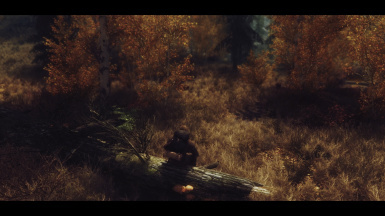 1) Download the Grim and Somber ENB Preset you wish to use from the files section. 2) Copy the contents of the presets main folder to your Skyrim directory. This will consist of the enbseries folder, enblocal.ini, and enbseries.ini files for most of them. Sheogorath comes with SweetFX files in which case copy those files over as well. 3) Edit the the enblocal.ini file, under the -MEMORY- section, to reflect your computers set up. Boris often updates the binaries at random so memory settings can vary depending on the binary being used. I recommend reading the STEP guide for enblocal.ini (can google it) to help set up memory settings. Boris also provides a VRAM tool that will detect how much memory to use (it is in the download area of enbdev.com under tools). You should use this tool to determine your video memory size. Lastly Tapioks has videos (linked in my sticky in the comments) that help explain many ENB settings and effects so if you need help you run through those as well. Some tips from Boris on MEMORY settings: For some people reducing ReservedMemorySizeMb to 64 or 128 helps to get rid of stuttering. Also try VideoMemorySizeMb=3000 and if not helps, then try AutodetectVideoMemorySize=true. DisableDriverMemoryManager=true may help also, but this depends from drivers mostly. Make sure that texture quality in game video options set to maximum, otherwise you always have stuttering. Also you can try to play with [THREADS] category (for binary 308 or higher). 4) Download the appropriate ENB Binary version from ENBDEV: http://enbdev.com/download.htm. The only files you want from this download are the d3d9.dll and enbhost.exe files. Do NOT install the entire folder! Use the ones from the wrapper folder first (if those don't work for you try the injector version - injector requires enbinjector.ini, enbhost, enbseries.dll, and ENBInjector.exe). Copy these files to your Skyrim folder. 5) You may need to set the enbhost.exe file to run as the administrator (right click, properties, compatibility tab, near bottom check "run program as administrator") and make sure it is not being blocked by an anti-virus program. 6) Set to "application controlled" the Anti-Aliasing setting on your video card (or if that is not an option disable it). Then disable it for Skyrim (either by running the launcher and disabling it there or by editing your skyrimpref.ini file and setting iMultiSample=0). Failure to disable AA the setting will result in many ENB effects not being rendered. 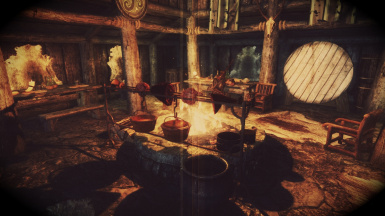 For anisotropic filtering(AF) the recommended option, per Boris, is to set the video game driver to "application preference" or "application controlled" then set the game setting (skyrimpref.ini file; if using MO change all the copies of it) to 16 and keep it enabled in ENB. 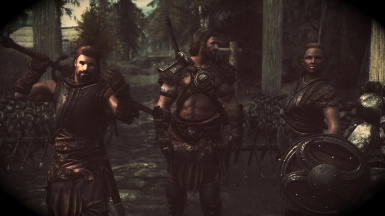 Then anything not picked up by the game will be picked up by the ENB mod. Or you can disable it in the skyrim INI file and just use the ENB version. 7) Edit your skyrimprefs.ini file (usually found in your my documents/games/skyrim folder). You may need to add the various "Shadow" values manually under the -DISPLAY- section. If you use Mod Organizer be sure to edit those INI files as well. 8) Finally download any of the optional files and/or any of the recommended mods you wish to use and install those. 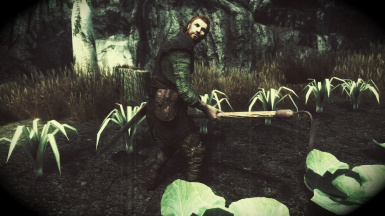 9) SPECIAL NOTE for users of Jyggalag, Sheogorath, Vaermina, or Shards of Oblivion: If using any of these presets make sure you do not have the enbhelper.dll file installed (often left over from an improper uninstall by users) which can be found either in your \Skyrim folder or the enbseries folder. These presets use old code that is incompatible with the enbhelper.dll file (which is why I don't include it in the preset download). The enbhelper.dll file should only be used with presets that support it (my other presets - Azura, Malacath, and Hircine - do support it). What happens is the helper DLL will reverse interior lighting at certain times of the day making things pitch black inside even with light sources on. Besides the the enbhelper.dll issue those presets also won't display some interior lights correctly. 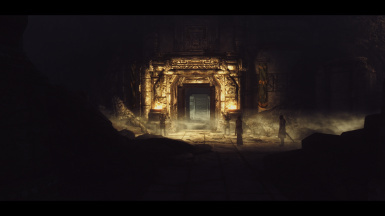 So if you still have dark interiors, and do not have the enbhelper.dll installed, then you will need to install the mod Original Dark Dungeons (ODD) for ENB by mindflux. 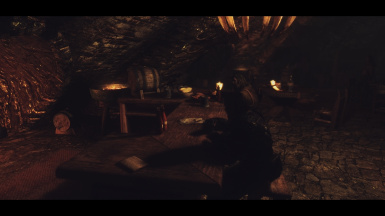 This mod fixes certain dungeons (Helgen being one of them) and other interior locations in the game that use daytime settings by making those locations use night-time settings. 10) Note that Shards of Oblivion uses binary 221 because the old binary preserves the look of this preset best and I do not recommend, nor support, any other binaries with it. 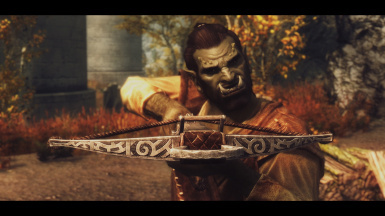 11) Currently Sheogorath comes with SweetFX files - be sure to install those. Note that SweetFx is not compatible with Windows 10 for most people and I do not support Sheogorath on Windows 10 for this reason. I have left it available for downloading for those interested in playing around with it. Azura, previously known as Grim and Somber Enchanted Next Generation, is a very bright fantasy based ENB using all modern shaders and effects. Nights are bright and tinted for a strong fantasy feel. Days are crisp and colorful without being over-saturated. Azura is the most current preset offered. The name was chosen as this is the "future" of the presets using next generation code. It is also bright, like a star. 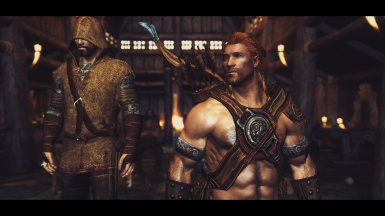 Hircine, previously known as Grim and Somber Main Directors Cut, has remained the same and only updated to the most current binary. Everyone seems to like this solid and dark preset that makes me think of the dark hunter with its deeper contrast and higher black levels. 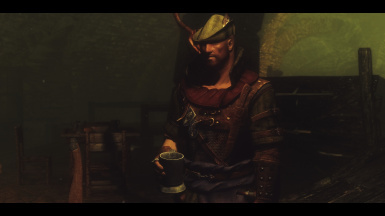 Hence I went with Hircine for the name. Jyggalag, this preset is the original Somber Antique (Beta 199) updated to the current ENB binary and tweaked by myself. 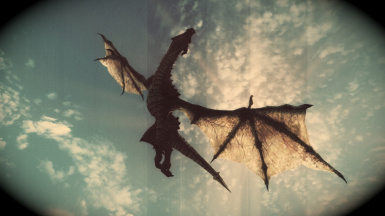 Jyggalag is the Daedric Prince of Order and the opposite of Sheogoarth, Prince of Madness and Creativity. 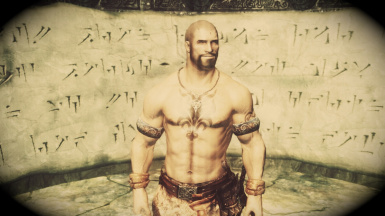 I choose this prince because it is somewhat the opposite of the extreme visuals of Sheogorath yet the two share much of the same code. Somber Antique is also about bringing order out of chaos by its attempt to use extreme bloom values and bring them under control (although not always successfully). It is the original classic preset that started the Somber series so I thought one of the original Princes would be a great choice. Now, much like Jyggalag himself, Somber Antique has returned to roam the Void. Malacath is a very customized Grim and Somber preset and while the shaders and palette belong to Tansarville (tali) all the tweaking has been completely done by myself and hence I consider it to be a bit of an outcast from the reset of the presets. It has new bloom settings along with all new shader code. It has custom weathers and is somewhat more saturated, with a touch more contrast, then the other presets (except Hircine). Sheogorath, previously known as Somber Wintage 35mm Resurrected, has been unchanged and only updated to the most current binary. This preset is the original Wintage 1.5 version made over a year ago by Tansarville. I picked Sheogorath as this is a mad preset - wild colors, intense lights mixed with desaturated tones, film flares and a crazy DOF. It is at times colorful and bright yet at others dim and dark. Note that it is no longer supported as I can't run SweetFX properly on my Windows 10 PC. 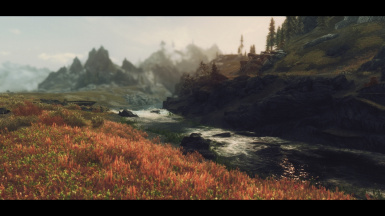 Vaermina, previously known as Somber Lut Sepia, has been tweaked from ENB version 221 to be made compatible with current binaries, add some polish, and create a slightly new look. I picked the Prince of Nightmares as this is a nightmare of a preset to balance. It has a heavy yellow-green tint, explosively bright bloom that can look awesome in some places but creates a nova light in others. It has a rather surreal feel to it at times, much like dreams. 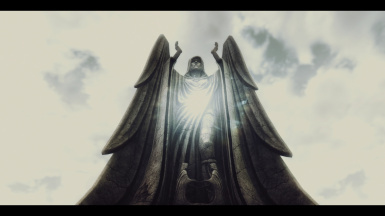 Shard of Oblivion is a special preset for use with the mod Shard of Oblivion WIP by Mika999 and it uses ENB binary 221. 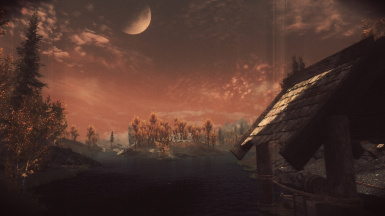 It should only be used with that ENB binary file and it is made to work with Shard of Oblivion mod to get the most out of the oblivion landscape and atmosphere. All presets, except Sheogorath, now come with only one default setting - a balance of performance and quality (roughly the high to medium area versus ultra or low). If you wish to tweak them for performance I suggest you check out the ENB guide with STEP for tips. Also many of the presets have comments in the enbseries.ini file with suggestions on settings for performance. I also include a few suggestions below. Note that Temporal AA is disabled by default on all versions but if used it provides superior AA. The main downside is TAA can create motion artifacts but they tend to be minimal if your average FPS is above 30. It is even less noticeable in first person or when using current binaries (308 or higher). To improve performance you can try editing some of the quality settings using the in-game ENB GUI editor. Start with lowering the quality of sky lighting and reflections by one degree at a time. Note very low settings can sometimes cause graphic artifacts, weird shadows, black grids, and other issues. After that try lowering any other quality settings by 1 degree and test your FPS. I recommend lowering quality over disabling any effects but if you must DOF, Reflections, Underwater and Water would be first choices. Do NOT disable SSAO (Ambient Occlusion), Skylighting, or IBL (image based lighting) as it will destroy much of the dramatic lighting. Also can try playing with memory settings. From Boris: For some people reducing ReservedMemorySizeMb to 64 or 128 helps to get rid of stuttering. Also try VideoMemorySizeMb=3000 and if not helps, then try AutodetectVideoMemorySize=true. DisableDriverMemoryManager=true may help also, but this depends from drivers mostly. Make sure that texture quality in game video options set to maximum, otherwise you always have stuttering. Also you can try to play with [THREADS] category (for binary 308 or higher). To enable the ENB GUI in-game hold down the SHIFT + CONTROL buttons at the same time (this is different than many configurations that use SHIFT + ENTER). Many presets come with optional DOF's you can use. Look in the DOF options folder(s) to see what they do and how to use them. Static gives the best FPS, Soulwynds has the most flexibility and controls, and GP and Kingeric is the most cinematic. The data file is optional and can be downloaded and installed using NMM. The data folder contains a sun and sunglare texture, ENB particle and sub-surface scattering fixes by mindflux, and an updated horizon mesh by JawZ. A letterbox vignette adds black bars to the top and bottom of the screen. Some presets may have a rounded vignette. They can usually be disabled in the EFFECT.TXT GUI in-game under the vignette section. If using vignettes from SweetFX, edit the SweetFX settings text file and change the 1 to a 0 under the vignette option. Film grain adds a grainy feel to the screen by adding small moving specks (noise) to the screen. To enable/disable, and change its look, open up the in-game ENB GUI. In the "Shader parameters" window expand the ENBEFFECTS section, or the EFFECT section, and check/uncheck the "Enable Grain" to enable/disable (located near the bottom under Film Grain). The other variables will let you change its intensity, saturation, and motion for both interiors and exteriors. Different presets may have them in different sections. WARNING: With Grim and Somber Azura do not use any other palette except the one that comes with the preset. Some of the other presets, however, come with optional palettes you may use. To install an optional palette copy the enbpalette.bmp file (from the options folder of your choice) into the enbseries folder you installed in the Skyrim directory. It will replace the one already there. 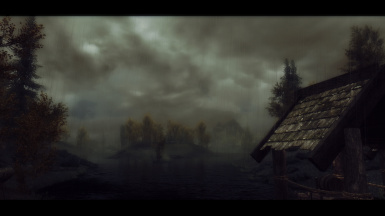 If you want to disable the ENB rain effect, and use your own texture, then open up the enbseries.ini file and find the [RAIN] section. Under the [RAIN] section change Enable=true to Enable=false. If rain is enabled in ENB it will override any custom rain textures you might have installed. 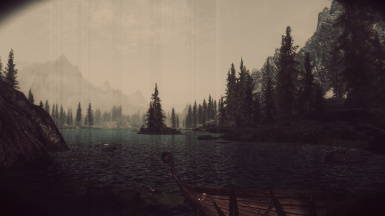 Note: If you use ENB rain do not use it with "Real Rain by Player Two" as that mod distorts the raindrops and makes it look like it is only raining in front of the camera. It works fine with the textures though. If you want to enable/disable the ENB procedural sun effect then open up the enbseries.ini file and find the [EFFECTS] section (near the top). Then set the EnableProceduralSun=true to EnableProceduralSun=false. If EnableProceduralSun is enabled it will override any custom sun textures you might have installed. 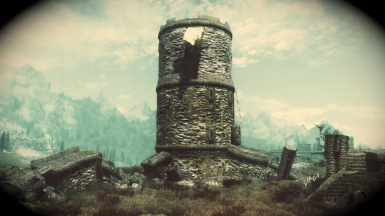 To uninstall a Grim and Somber ENB preset simply delete all the same files and folders that you added to your Skyrim folder when you installed Somber (see install directions above for a list of the files). Also be sure to uninstall the specific data files that you installed (either via NMM or manually). 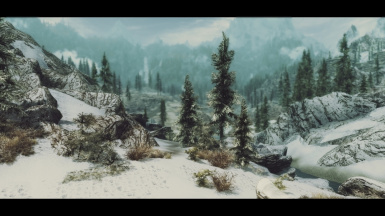 You may also want to refresh your skyrim.ini and skyrimpref.ini files to reset them to vanilla settings (or settings you saved prior to installing this ENB) to prevent future conflicts with other mods or ENBs. There are no required mods for these presets (although note you may need Original Darker Dungeons if using Jyggalag, Vaermina, Sheogorath, or Shards of Oblivion as they are old presets). I do not like making an ENB dependent on any external files so I have done the best I can to remove any dependencies. Some of the options I included in the downloads section, and some of the recommended mods, can help improve the overall quality but they are not required. The following mods are optional but recommended as they can greatly enhance your experience. 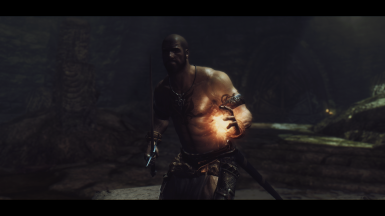 If you are looking for a lighting MOD that works well with these presets then I recommend Relighting Skyrim by Novak Dalton. 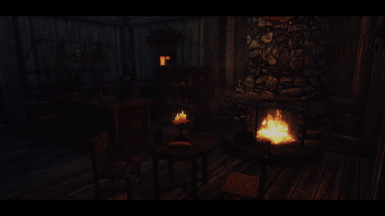 * Relighting Skyrim (RLS) is the only lighting mod I support. Works best with Dark Dungeons (DD) by MindFlux and load DD after RLS. In general I prefer to not restrict what mods people use with these presets (in my experience people will use them anyhow). 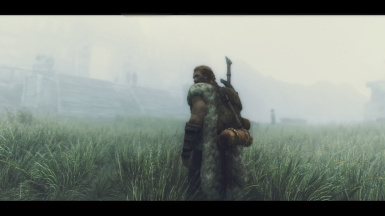 In general avoid any mod that changes interior fog - as all the presets (except Hircine) rely heavily on interior fog for a lot of the atmosphere. I used to say not to use revamped exterior fog but I find using it doesn't destroy the look of the preset like removing interior fog does. If you use Supreme and Volumetric Fog load that after revamped. If using any version of Jyggalag, Vaermina, Sheogorath, or Shards do not install the enbhelper.dll - it is not compatible with those 4 presets. In addition most lighting and/or weather mods (RLO, ELFX, COT, RCRN, NLA, Vivid Weathers, etc.) 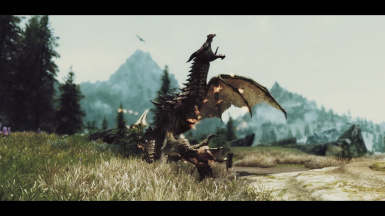 or any mod that can alter graphics/visuals (Imaginator, Dynovision, etc. ), can come into conflict and create overly dark/bright areas, shadow problems, strange tinting, ugly fog, or other issues. A lot depends on what you are willing to put up with, what your tastes are, and what options you use. If you want to try using a weather/lighting/graphic mod then that is your choice - it won't make your PC blow-up. My advice is to try them for yourself and see how they look. I will note, however, that "Real Rain by Player Two" will cause issues with ENB rain - it can make the rain look chunky and centered around the player. 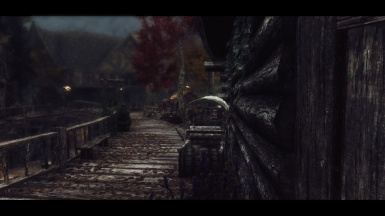 If you use that mod do so with the textures and ENB rain disabled. 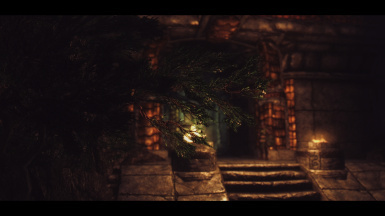 From a support standpoint, however, I only tune this preset around vanilla lighting and Relighting Skyrim by NovakDalton. You can use anything else you want just be aware I can't support it and don't have any idea what it will look like. I also STRONGLY ask that if you go to the comments and make a post about how X preset looks [insert problem here] and you are using any of the problematic mods listed above, or any similar mods, then please mention them in your post. The amount of my own personal free time I have wasted trying to help someone with a problem ... only to discover its because they were using an unsupported mod ... is way more than I would like. Time is a precious commodity. I am sure you don't like your own free time wasted so have some courtesy and don't waste mine. Want to tweak some of the settings? Check out the STEP ENBSeries INI Guide. Wonder what Reflections, SSS, IBL, or Indirect Lighting do? See them visually in action with Tapioks Tech Videos. Before asking for help review the list below for basic troubleshooting issues and tips. Properly uninstall any previous ENB and install the new one fresh. Don't just overwrite files!!! You may need to set enbhost.exe to run with admin access and verify it is not blocked by your virus program. Double check all files are installed and in their proper place. Verify your skyrimpref.ini file is set correctly. Those settings can easily be reset to vanilla settings by the skyrim launcher, updates, or local file integrity checks. Always double check those if you are having problems. Some mod managers create their copies of these files - so check those as well. Double check your memory settings in ENBLOCAL.INI. Improper settings can increase the odds of CTD's, infinite loading screens, sudden FPS drop rates, and freezes. 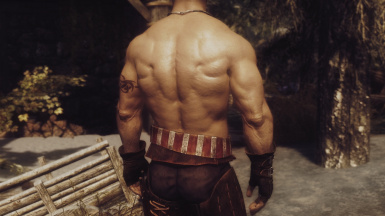 Be aware that these are demanding ENB presets. Toss in a lot of heavy scripting mods, high resolution textures, and you are bound to have some FPS loss. Depending on your PC you could have more stuttering and sudden FPS drops when looking at objects that have HR textures. Consider lower resolution textures or a performance preset. Use SHIFT + CONTROL to open the ENB GUI (not shift + enter). See step 9 of the install instructions. 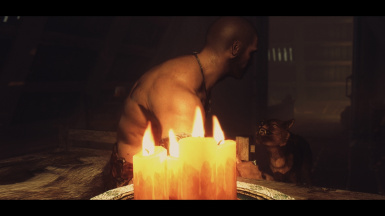 Older presets do not work with the enbhelper.dll file (which can reverse the lighting making things very dark) and also require Original Dark Dungeons by Mindflux which fixes flags for dungeon interiors to work with ENBs to show proper lighting. Make sure you disabled Anti-aliasing settings on your video card and in Skyrim. Make sure you have bFloatPointRenderTarget=1 in your skyrimpref.ini file. See step 9 of the install directions. For binaries 250 or higher the Ninghiem Race mod causes light issues. To fix make sure you have uploaded the optional ENB script fix for that mod (on the mods site). This is caused my Temporal AA which is enabled with the game playing performance preset. Disable it by opening up the in-game ENB gui (SHIFT+ENTER) and under the ANTIALISING section look for temporal AA and disable it by unchecking it. Tansarville - Creator of the Somber Lut Sepia ENB (and Somber Antique) and core base of these presets. 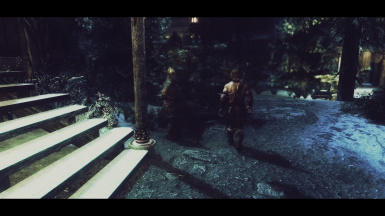 Tansarville is also the creator for the current GSE 4.X palette, modified Somber Lut palette, the Vintage Palettes, and the Somber Crescent Lut shaders (enbeffect.fx file). Only she can give permission for other people to use her shader files. Maeldun0 - For allowing me to upload my personal version of Somber Antique (GS Jyggalag and GS Jyggalag Classic) on this page, for some of the Somber 3 settings used in Jyggalag, for the SSS settings used in most of the presets, for various code settings for Wintage, and for their support and advice on many things. Textrodixn - For their Snapdragon DOF which inspired me to make a similar version with KingEric's shader. Saran OhKay - for videos. This ENB is for personal/private use only. 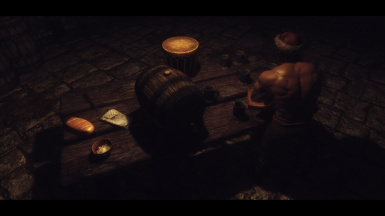 No one is allowed to upload, share, or otherwise publish any of the Grim and Somber ENB presets without direct permission from WolfGrimDark. Thank you for respecting the wishes of not only myself but all the people who helped make these presets available. Special Note on Permissions: It is important to note that the list of credits reflect any resources used, either in part or in their whole, for my presets. However many of those files have been heavily modified by Tansarville or myself for use with Grim and Somber. Therefore if people are seeking permission for any modified files they need not only the permission of the original author but the permission of me and/or Tansarville as well.